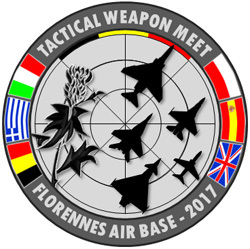 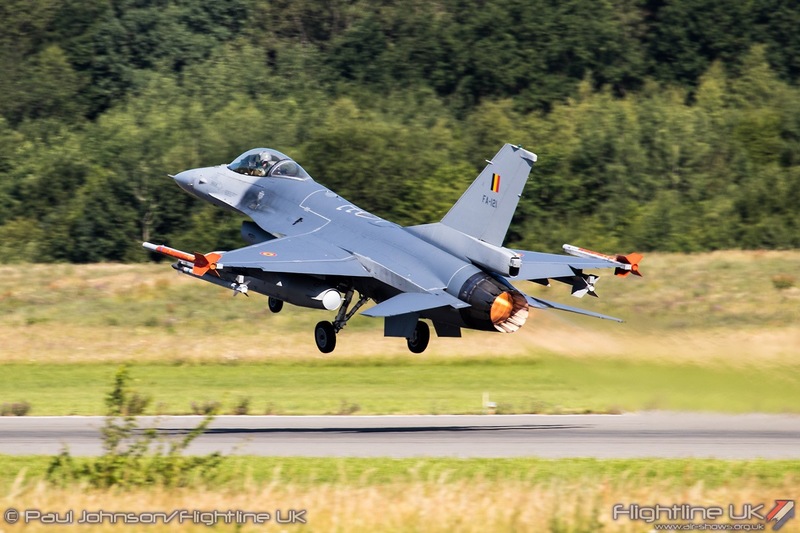 During June 2017, No 1 “Stingers” Squadron of the Belgian Air Force hosted the Tactical Weapon Meet exercise at Florennes Air Force Base. 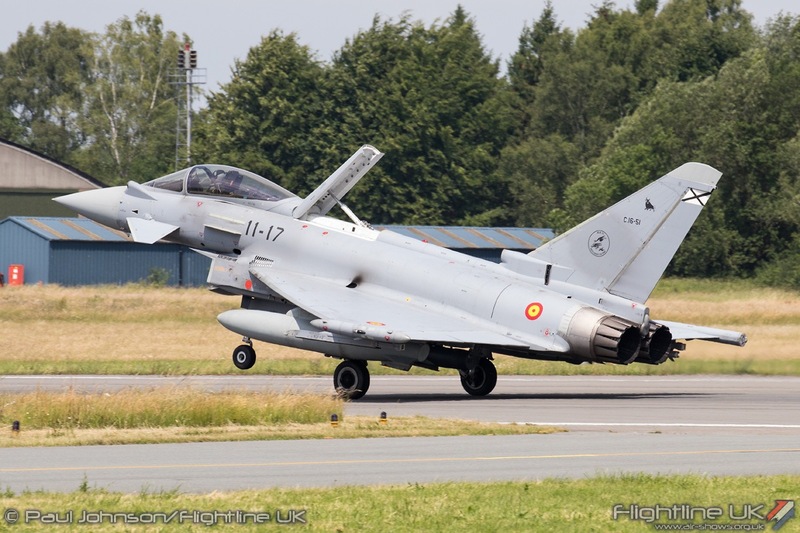 The exercise brought together units from the air forces of Belgium, Greece, Italy, Poland, Spain and the United Kingdom for two weeks of training missions. 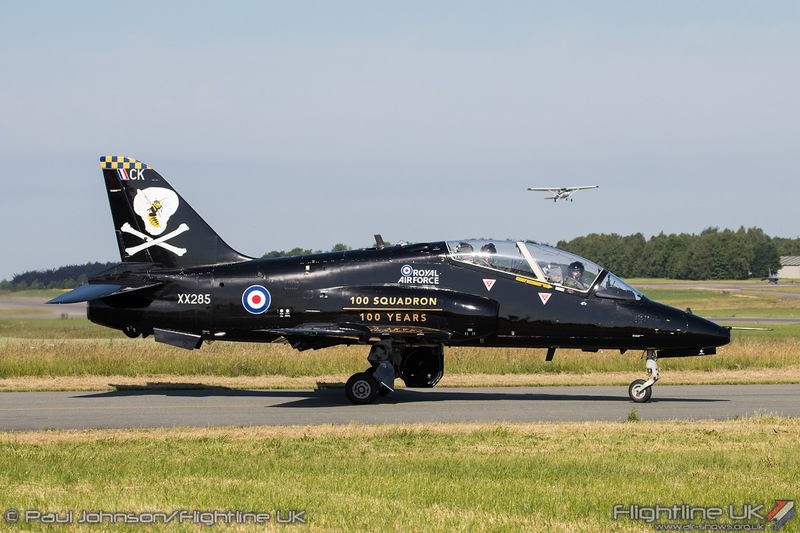 2017 also marked the centenary of the host squadron which formed at the height of the First World War. 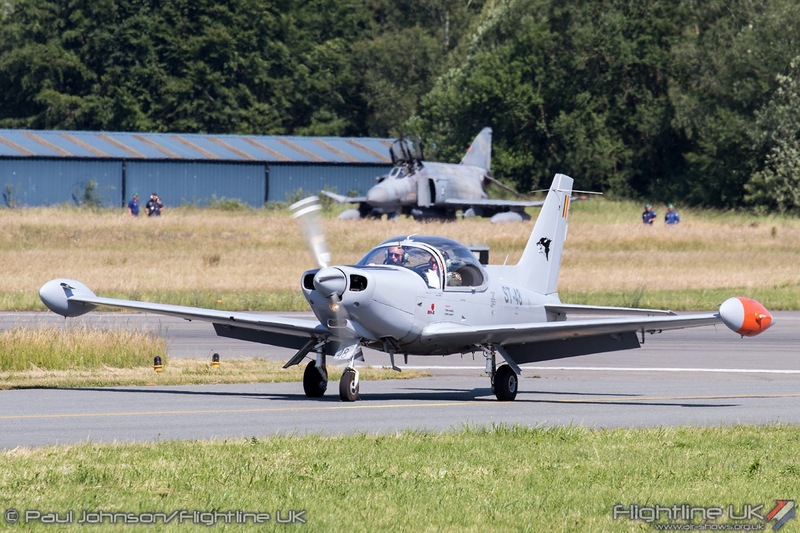 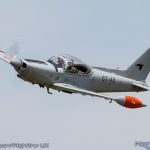 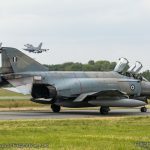 The last full day of flying saw a “Spottersday” organised allowing enthusiasts to watch missions launch and recover to the airbase plus arrivals for a special Squadron centenary event. 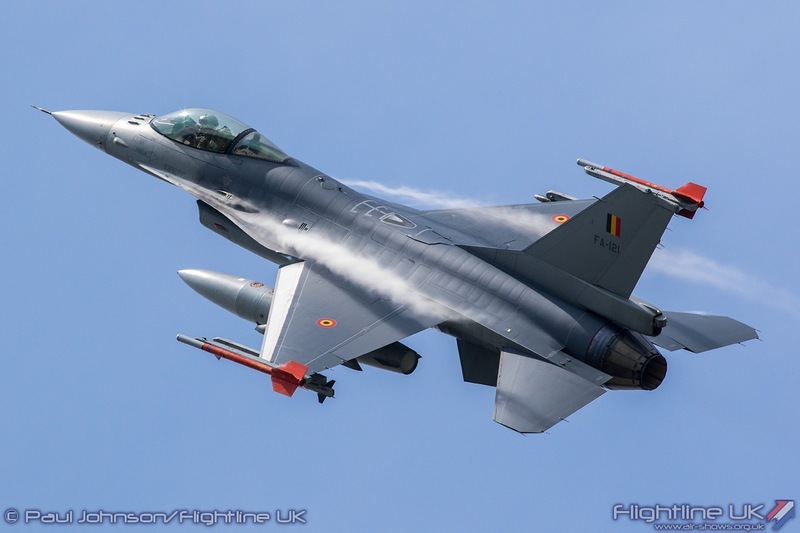 No 1 Squadron of the Belgian Air Force can trace its routes back to 16th April 1913 as part of the “Compagnie des Aviateurs” when its role was purely for observation and artillery spotting. 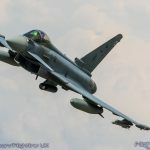 The First World War broke out a little over a year later the squadron soon became involved in action slowly developing its role into armed flying mission. 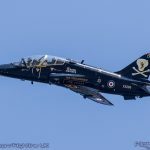 On the 22nd February 1916, the “1ère Escardrille de Chasse” (1st Fighter Squadron) was formed but it was not until a year later that the Squafdron adopted Scottish Thistle as the squadron identity and became the “Stingers.” The Squadron motto is “Nemo me impune lacessit” – No one provokes me without impunity. 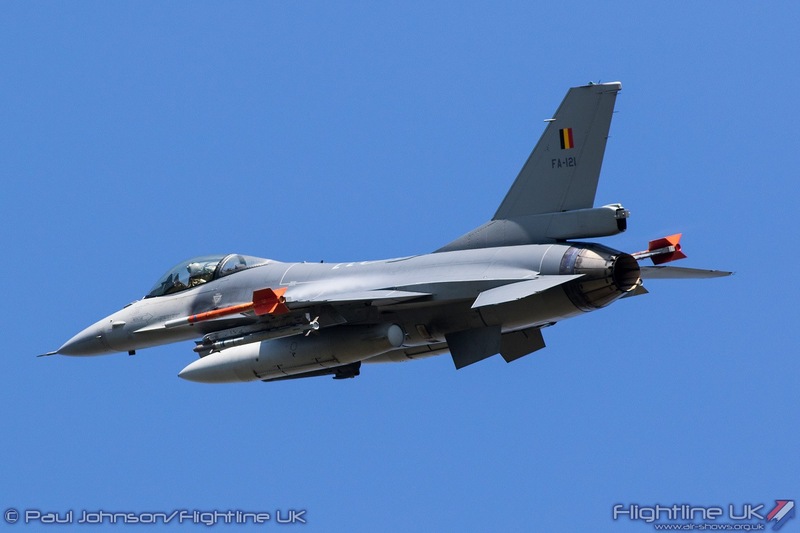 The unit has continued to serve Belgium ever since with a number of different identities. 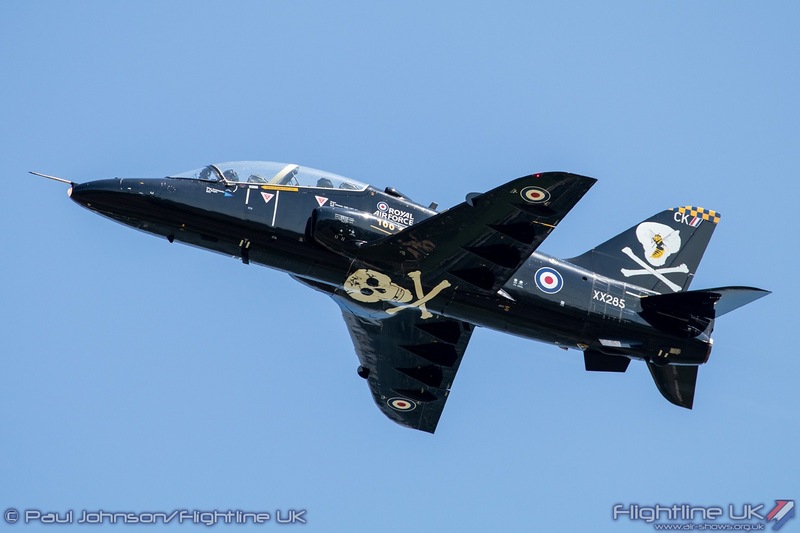 Pilots from the Squadron flew with the Royal Air Force during the years of occupation. 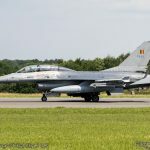 Post war, the Squadron reformed at Florennes with the Spitfire XIV as 351 Squadron as part of the newly independent Belgian Air Force. 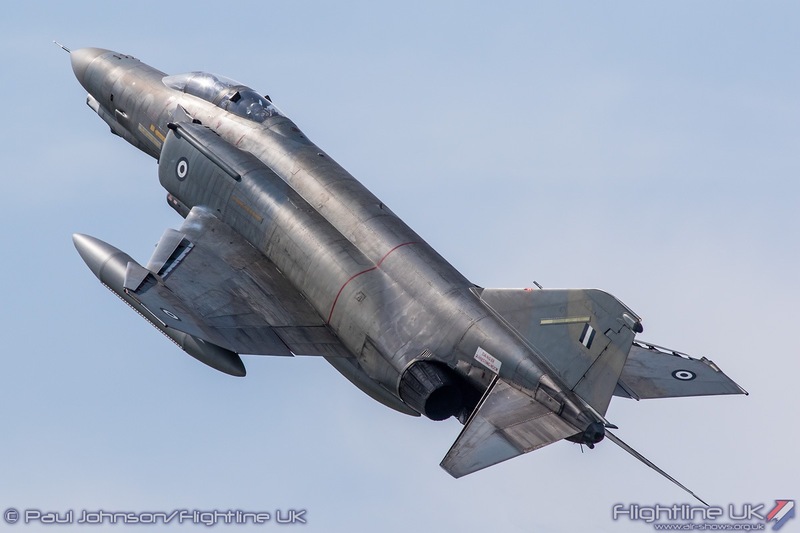 It soon readopted the title of 1 Squadron and flew throughout the cold war on legardary types such as the F-84G/F and the Mirage 5. 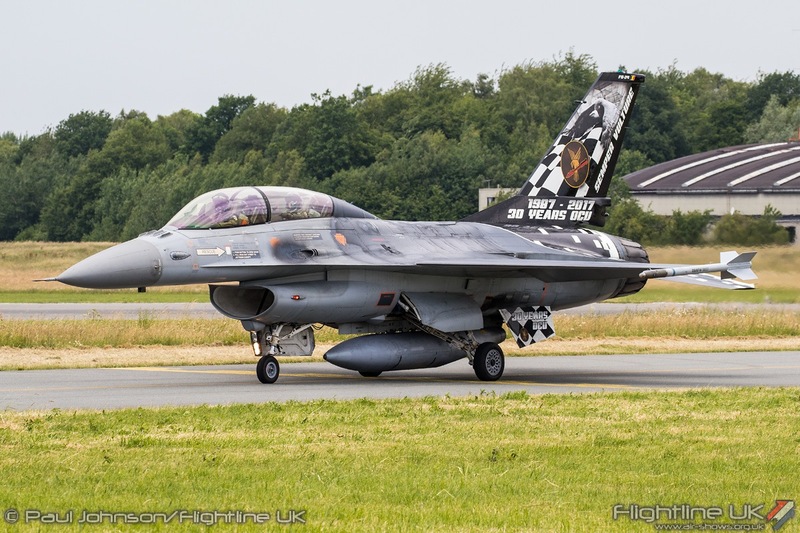 Today the squadron flies the multi-role F-16AM Fighting Falcon, a type it has flown since 1989. 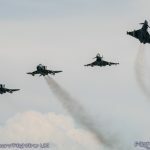 The Squadron has been involved in a wide range of operations including those over the Balkans, Afghanistan and Libya. 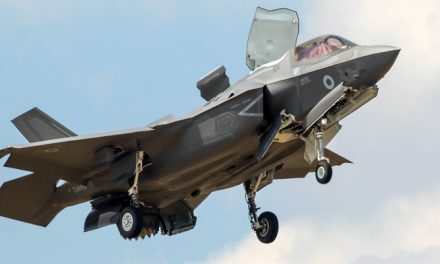 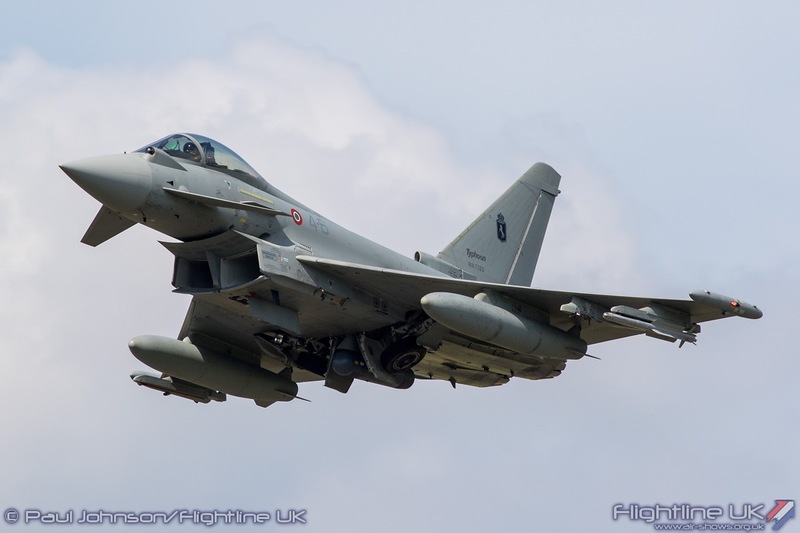 It also provided Quick Reaction Alert in the home defence role as well as participating in the NATO Air Policing mission over Eastern Europe. 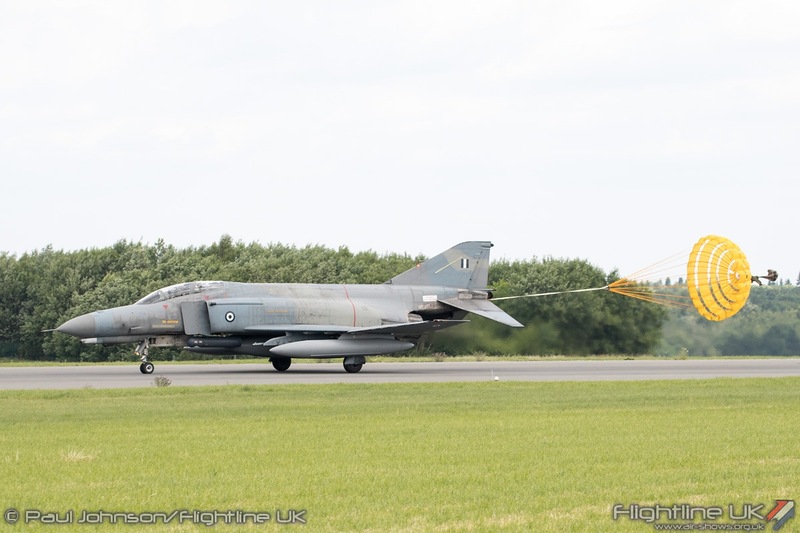 Coinciding with their centenary year, the “Stingers” also hosted the Tactical Weapon Meet Exercise during June. 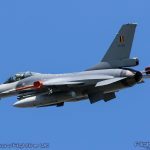 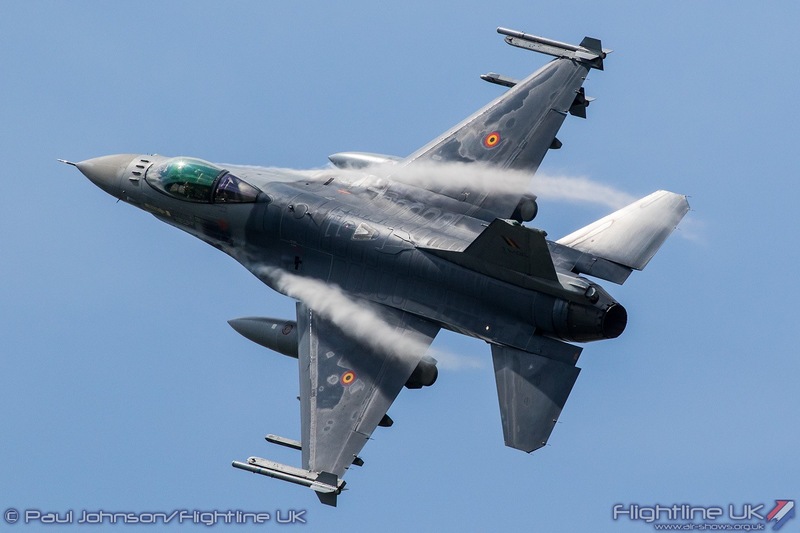 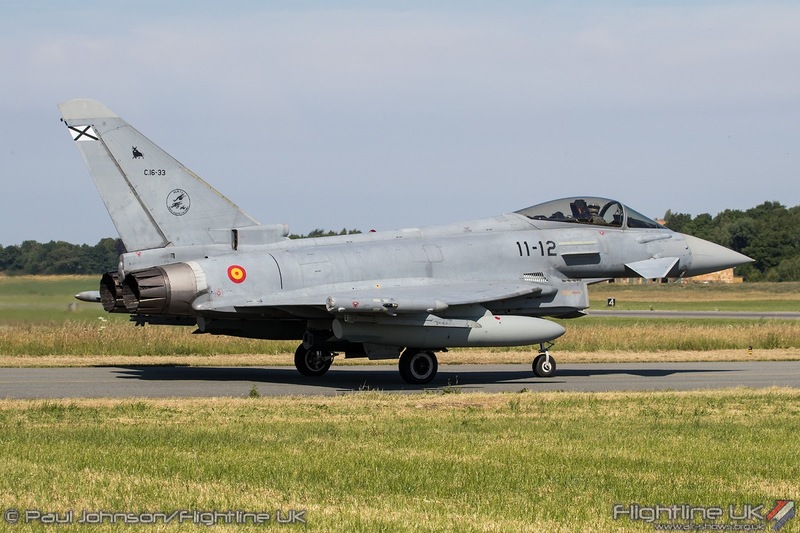 This was billed as one of the largest fast-jet exercises to be held at Florennes since the days of the Tactical Leadership Programme which used the Belgian base until it was relocated to Albacete in Spain. 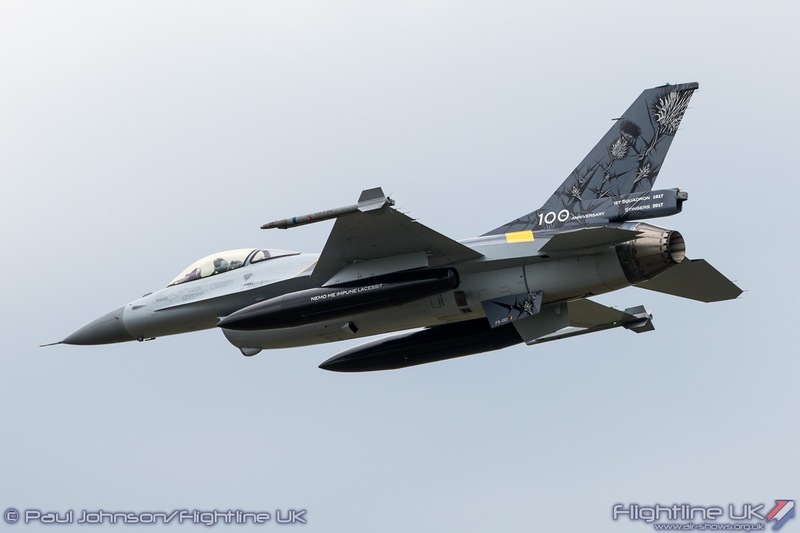 As well as Florennes based Lockheed Martin F-16AM/BM Fighting Falcons, the exercise also involved units from other NATO forces. 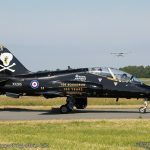 Amongst the home-team participants was 1sqn’s specially marked “Stinger” jet wearing a large thistle motif on its tail plus an overall scheme f grey, yellow and black with the squadron motto emblazoned onto the aircraft’s drop tanks. 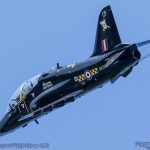 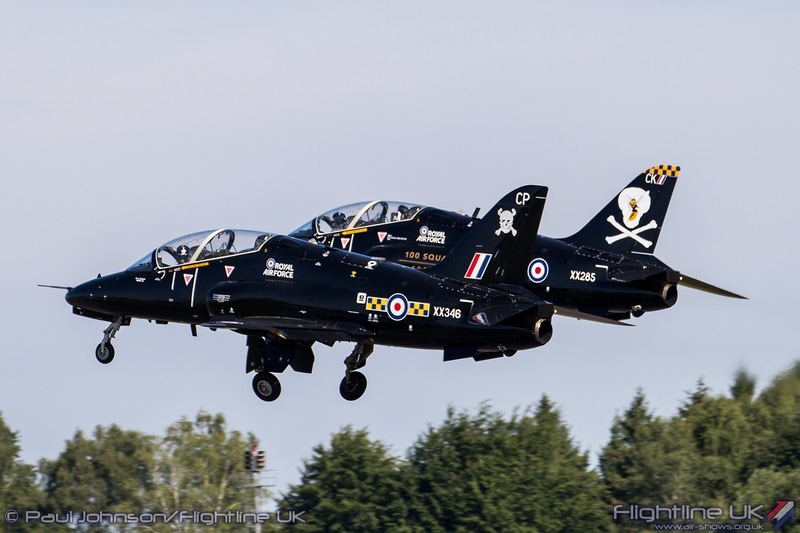 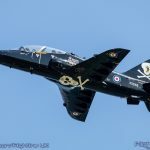 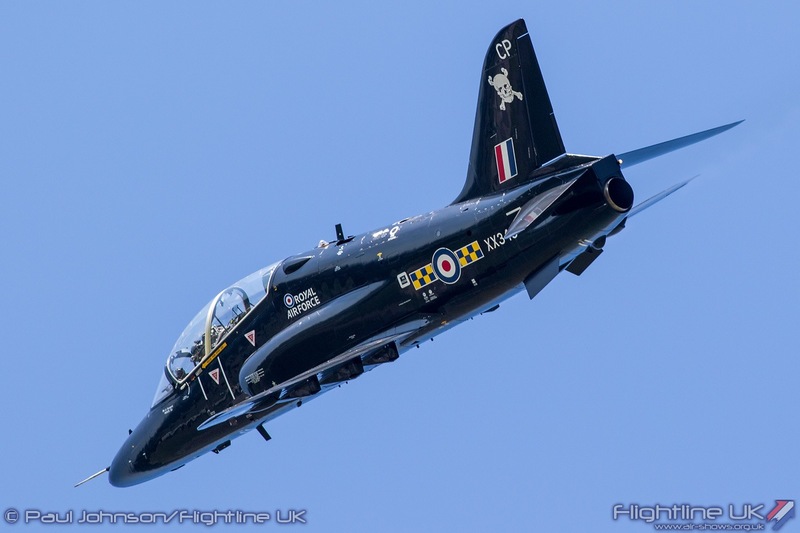 The Royal Air Force sent two BAE Systems Hawk T1s from No 100 Squadron (also celebrating its own centenary) to play the aggressor role during the missions. 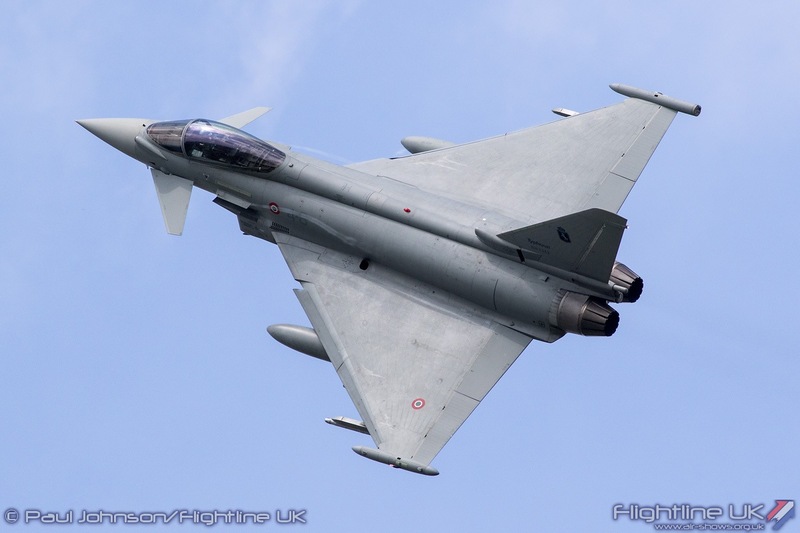 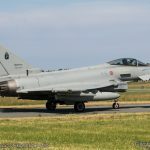 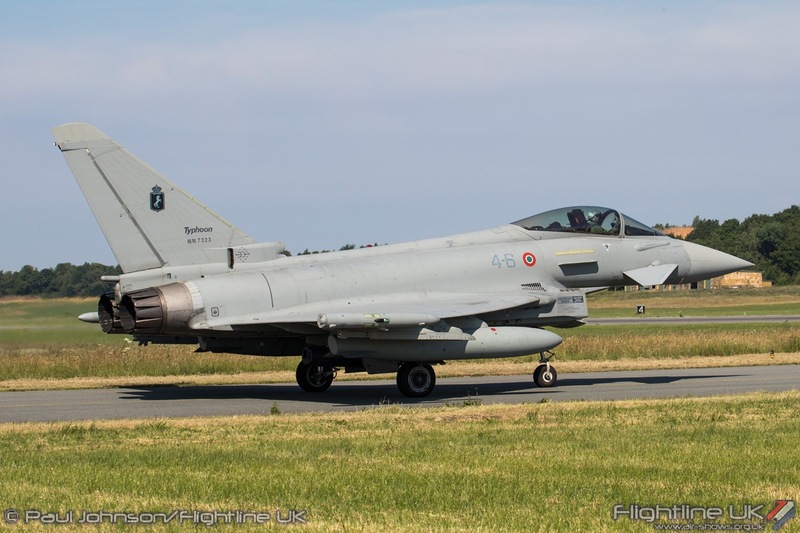 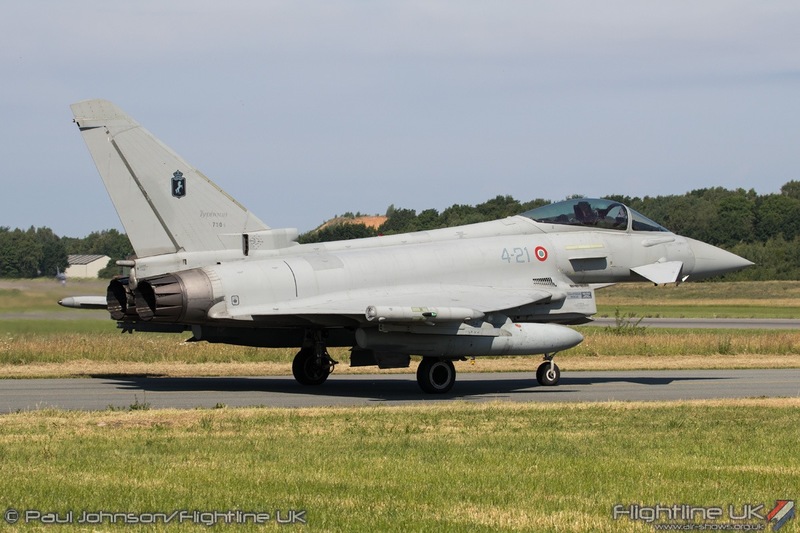 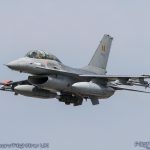 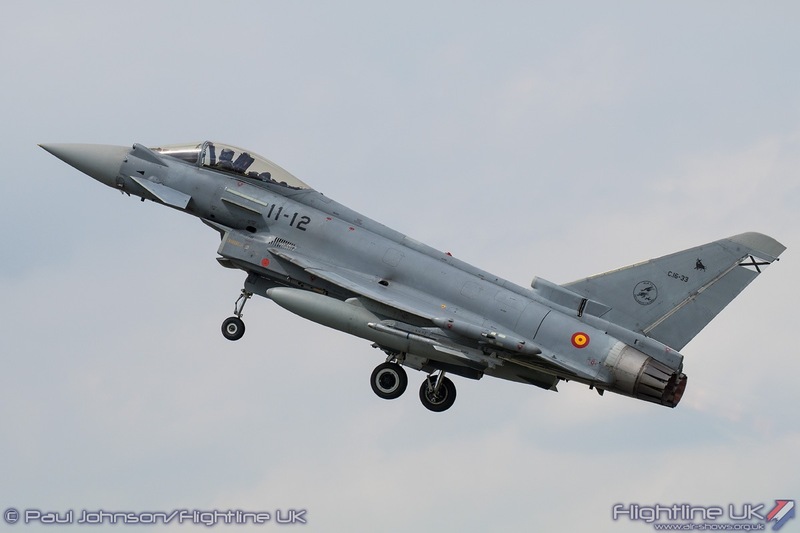 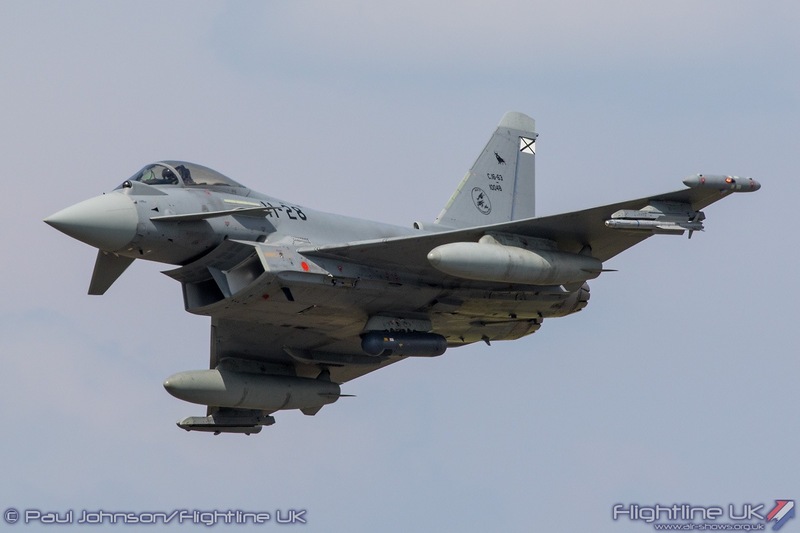 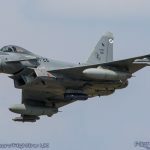 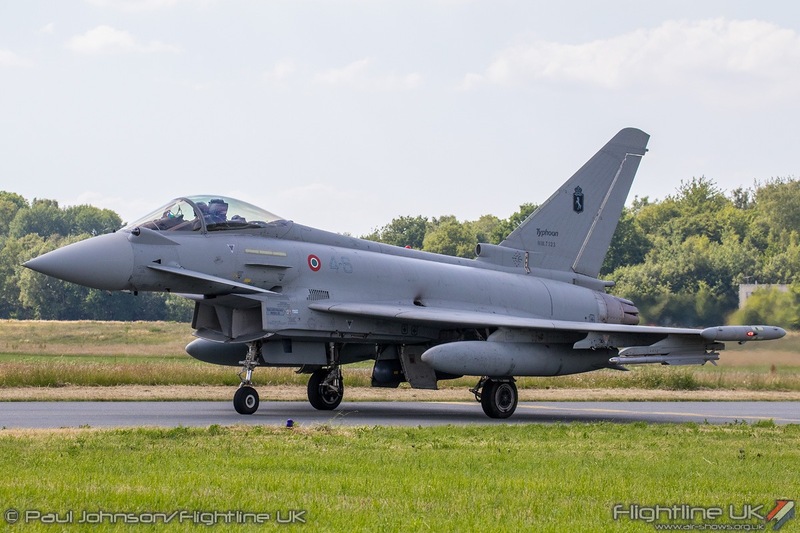 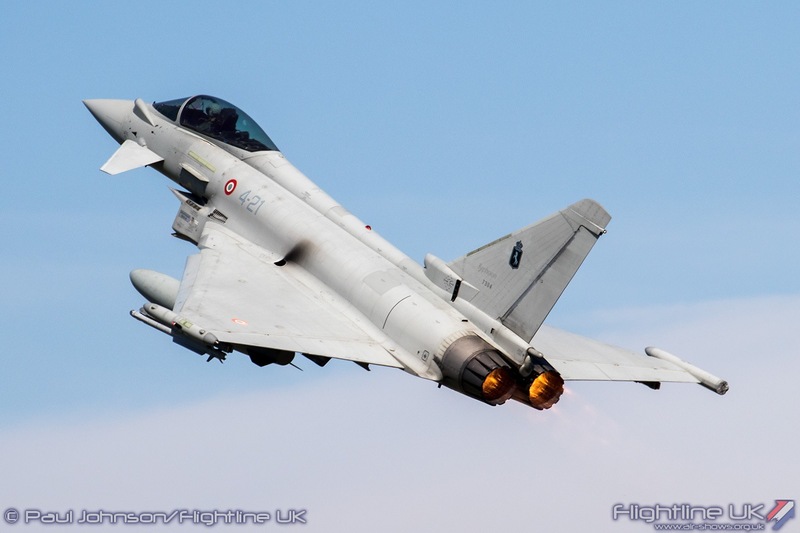 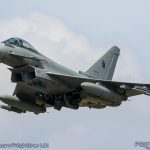 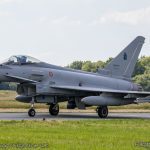 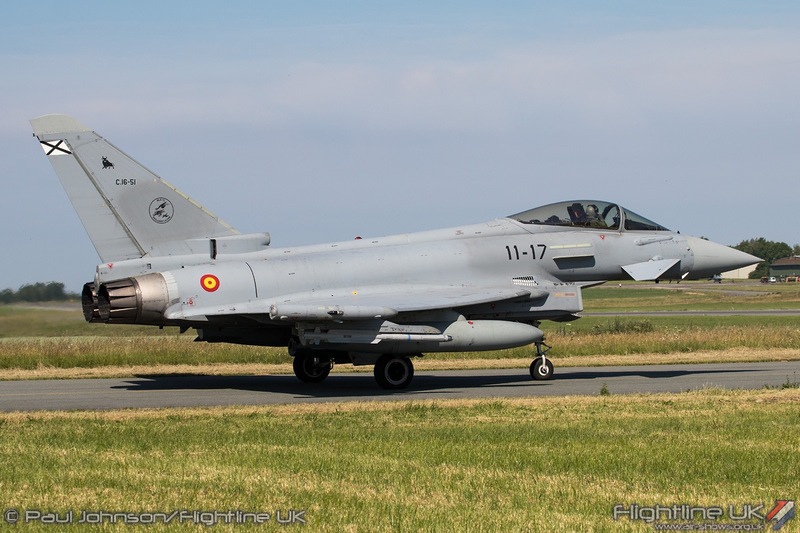 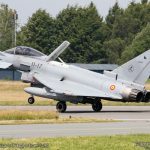 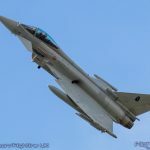 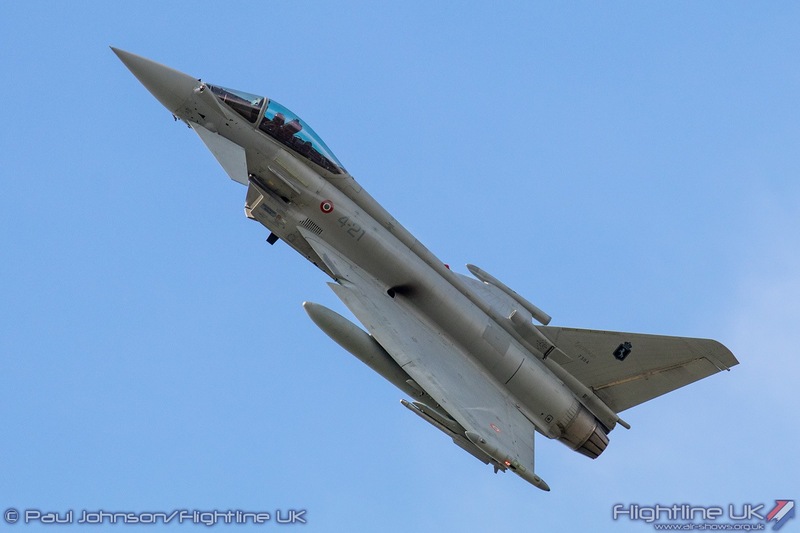 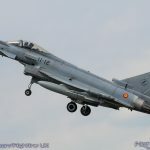 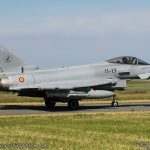 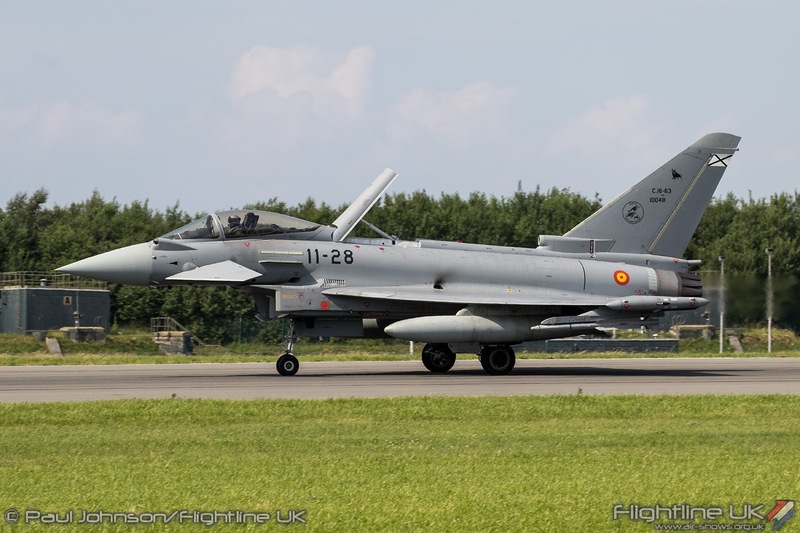 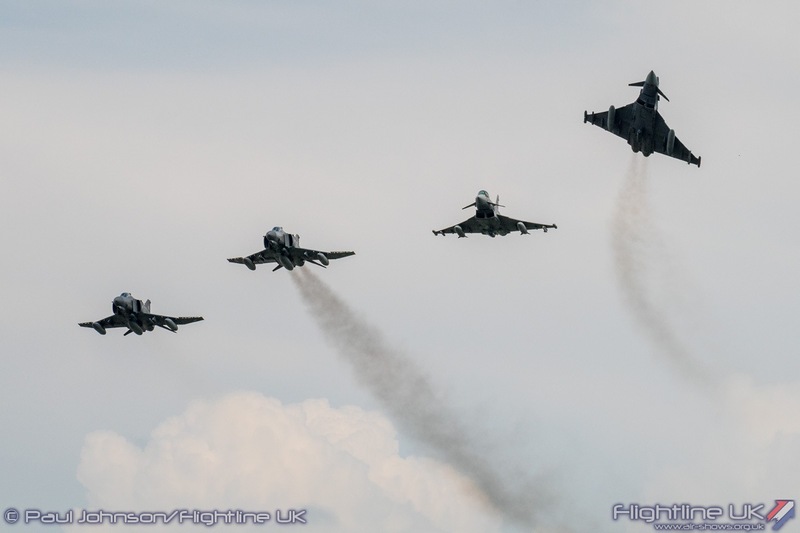 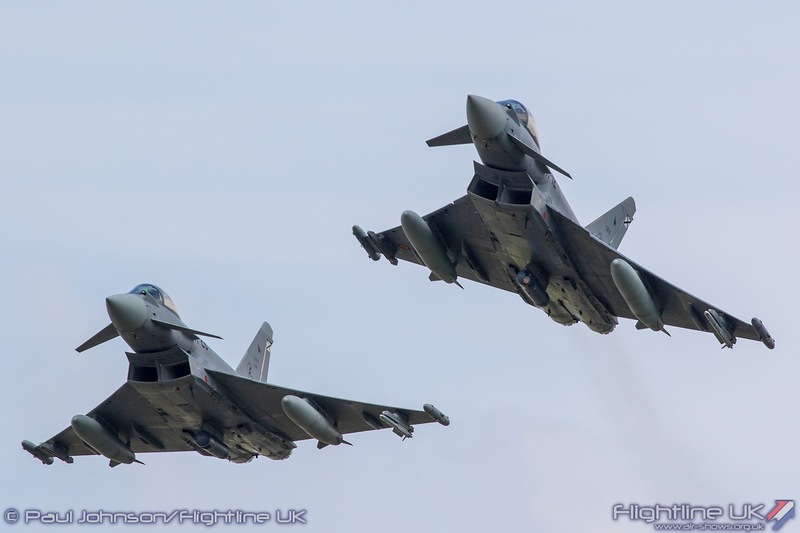 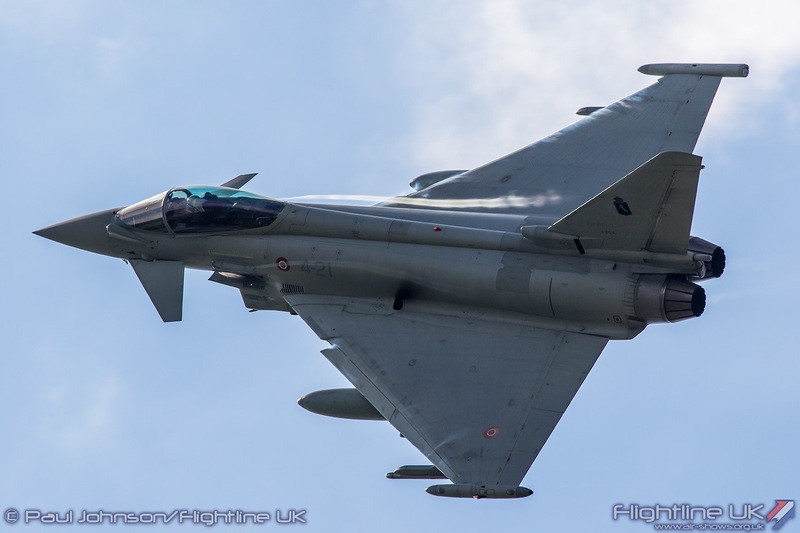 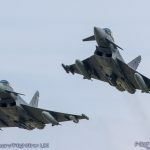 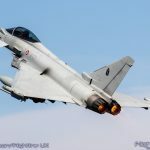 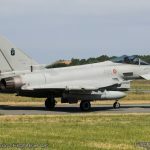 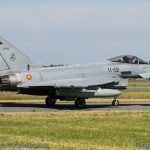 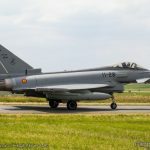 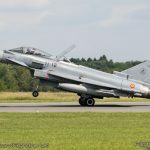 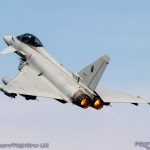 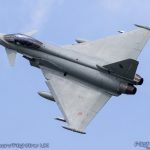 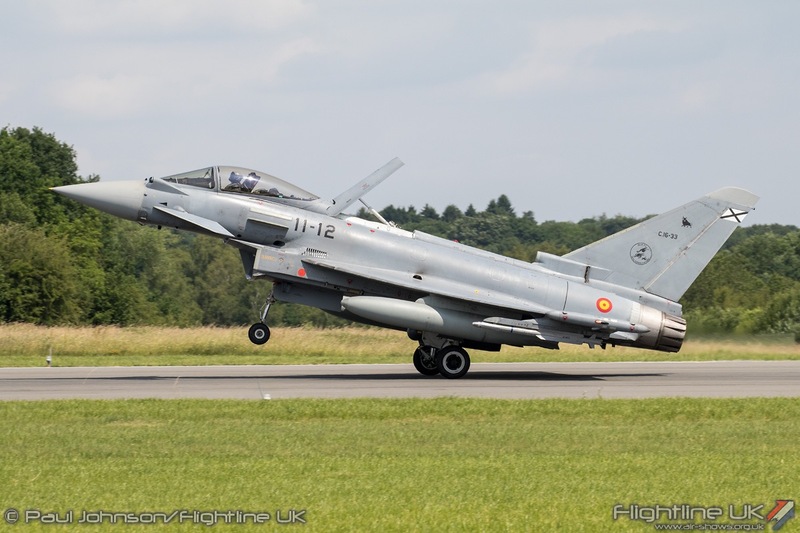 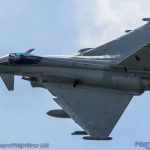 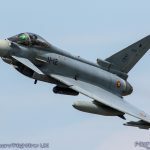 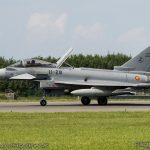 The Italian and Spanish Air Forces both contributed three Eurofighter F-2000A and C.16A Typhoons for the meet putting up pairs for each sorties. 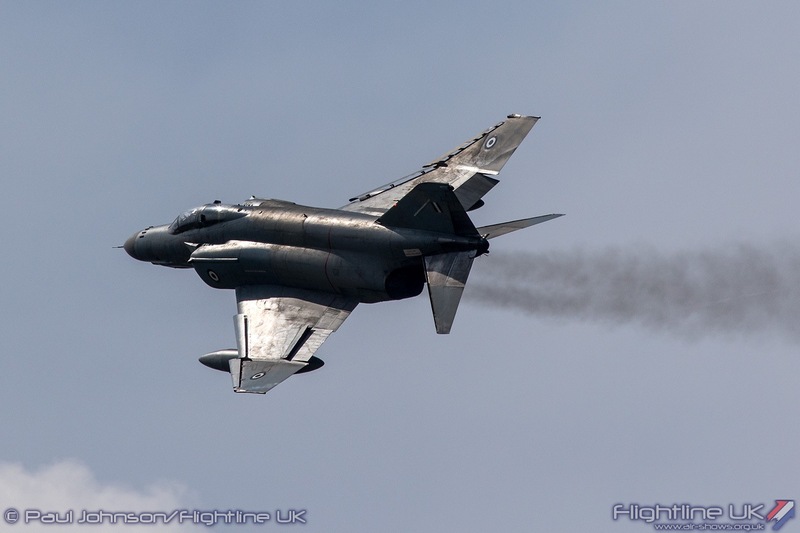 The stars of the meet for the enthusiasts were both Cold War warriors. 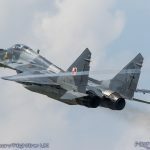 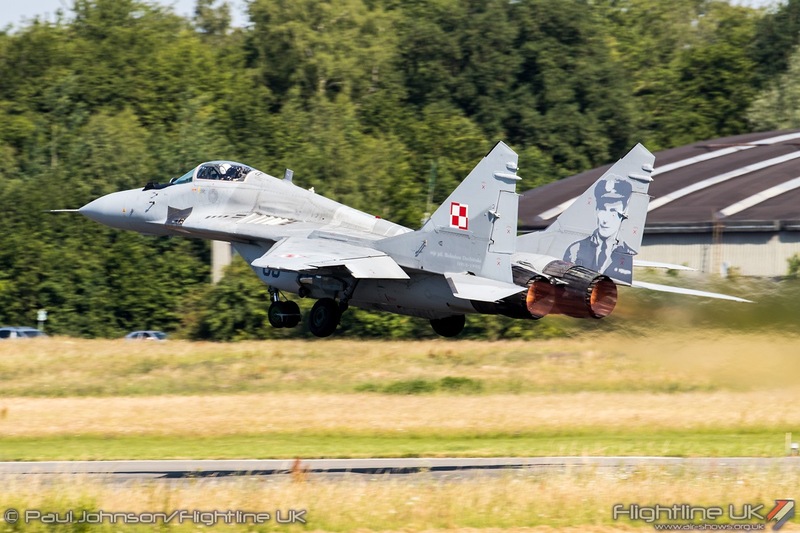 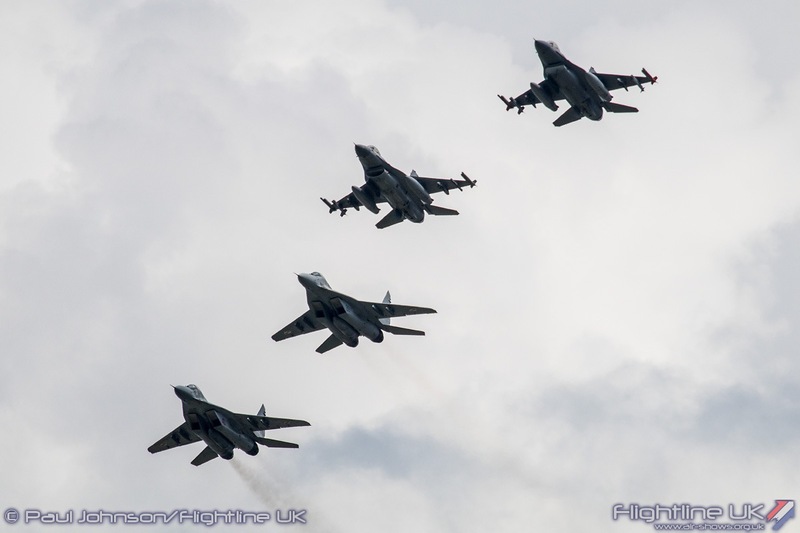 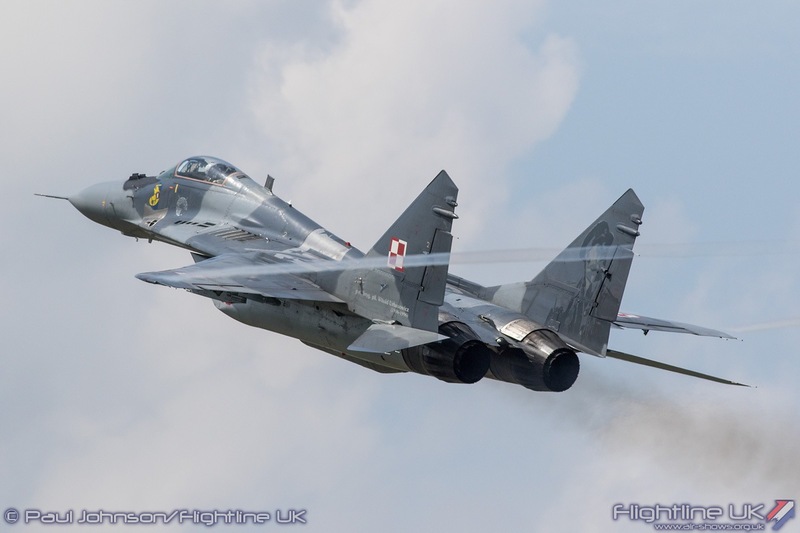 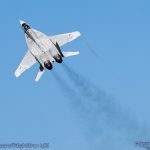 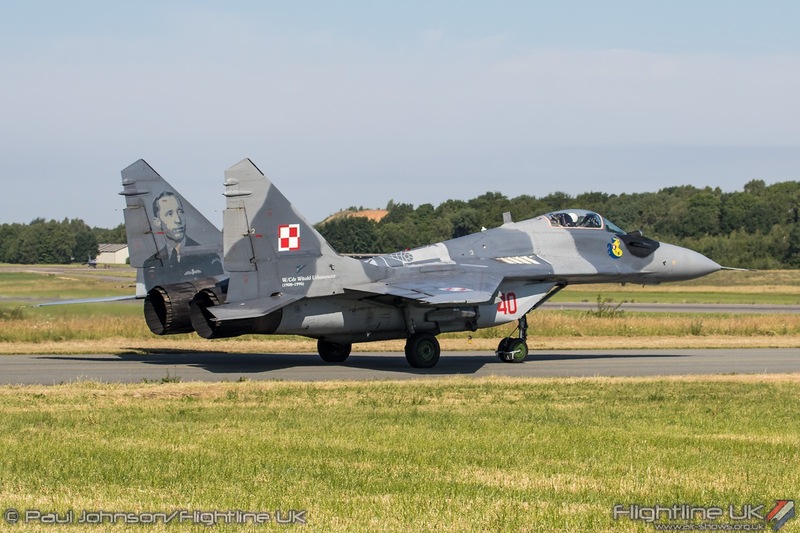 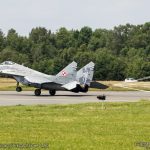 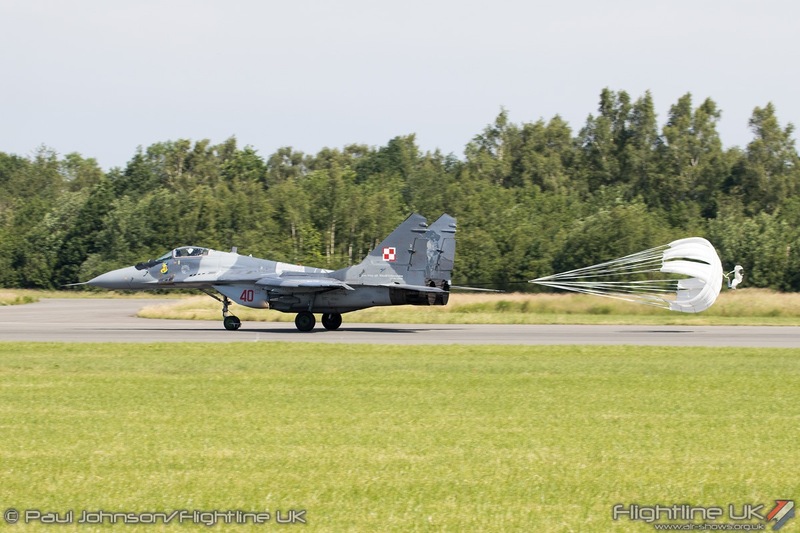 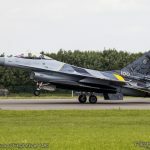 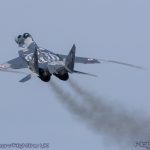 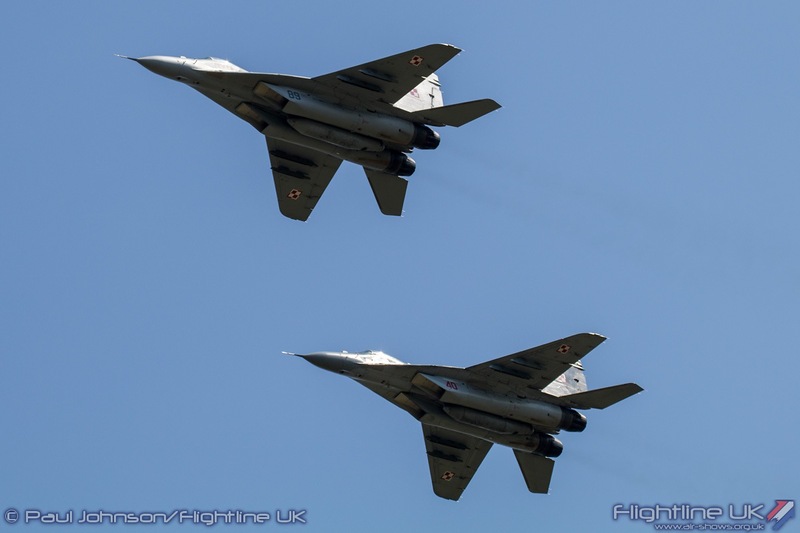 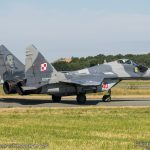 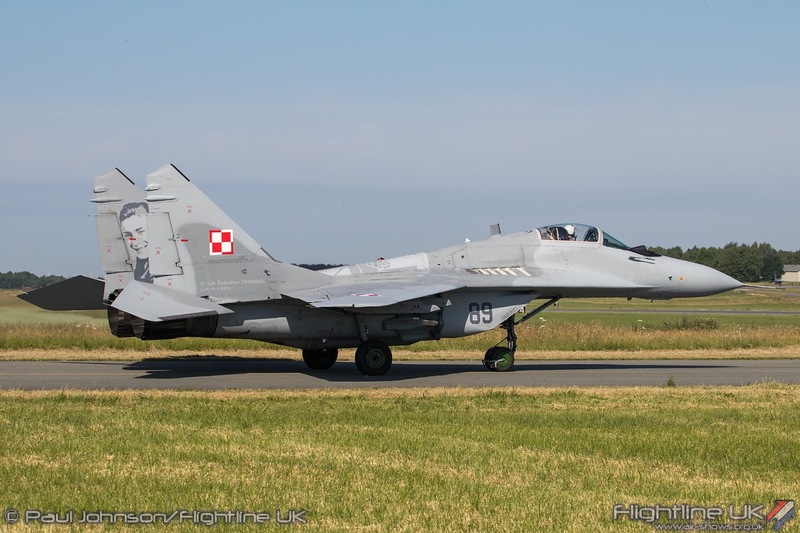 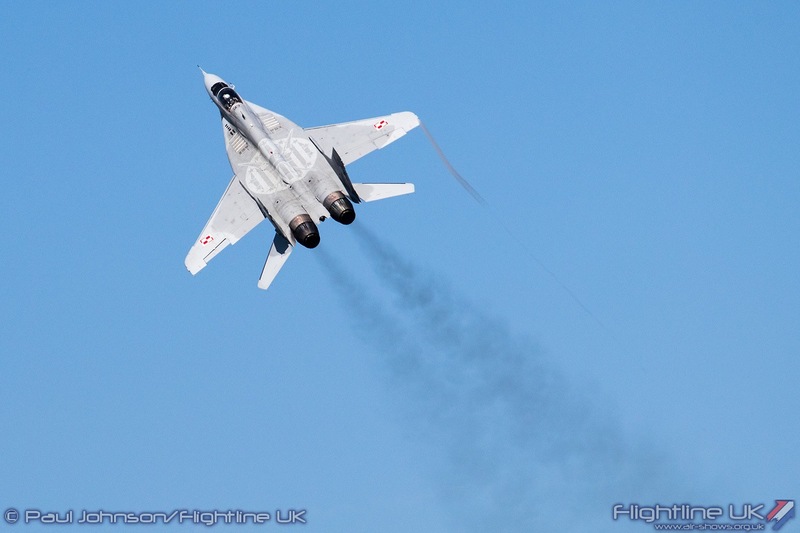 The Polish Air Force sent a trio of Mikoyan-Gurevich MiG-29 Fulcrums to Florennes. 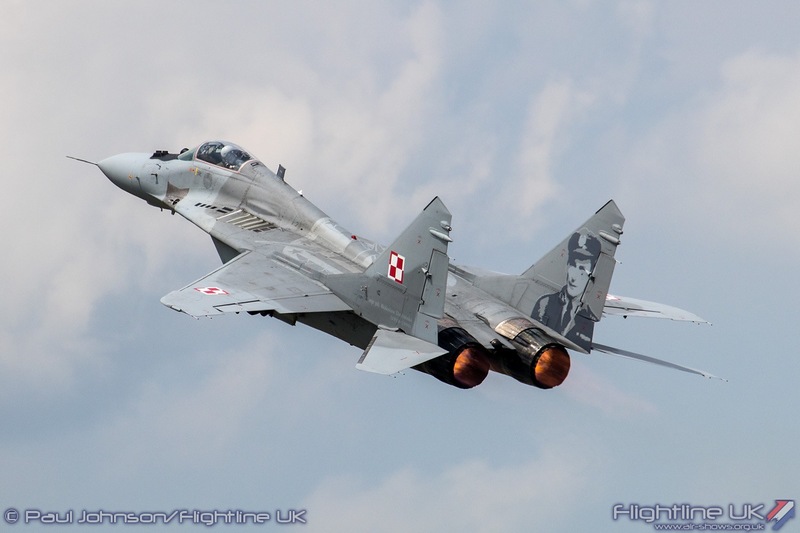 Despite Poland now taking on western types such as the F-16, the MiG-29 remains a potent aircraft. 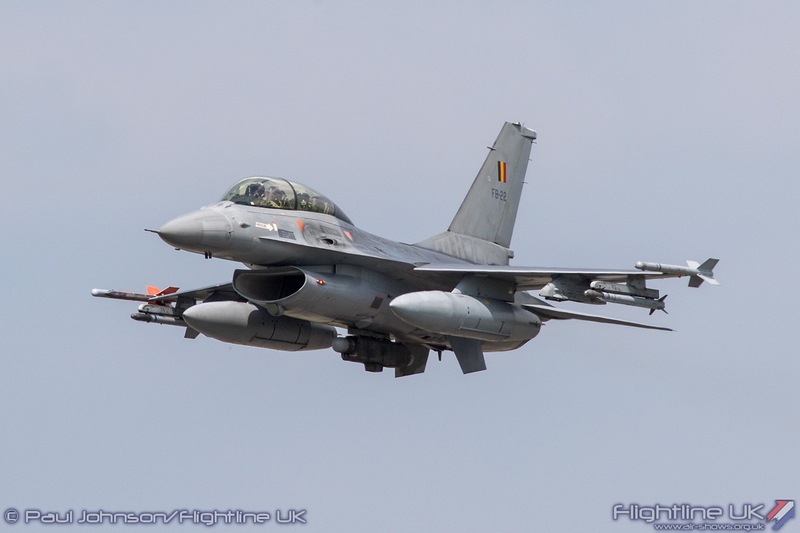 Recent upgrades have allowed the type to be fully integrated into wider NATO missions. 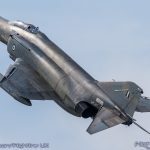 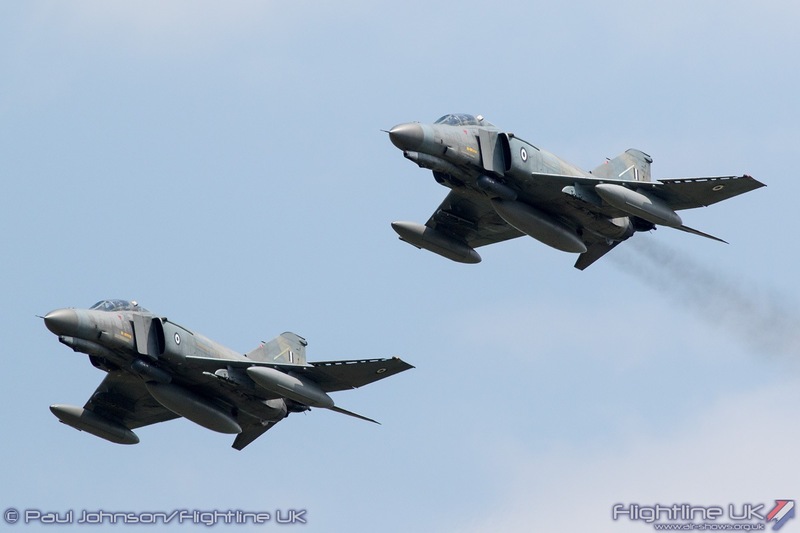 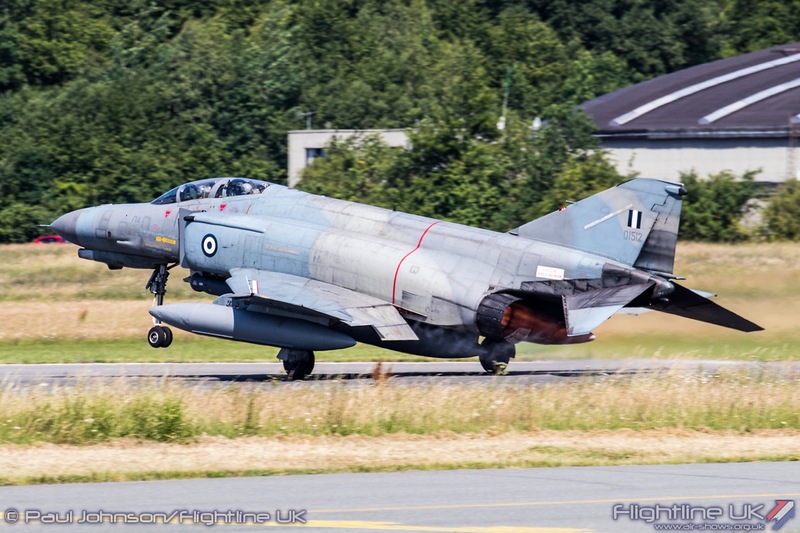 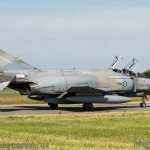 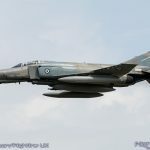 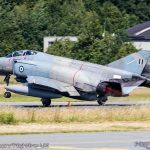 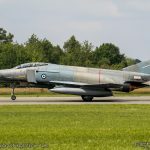 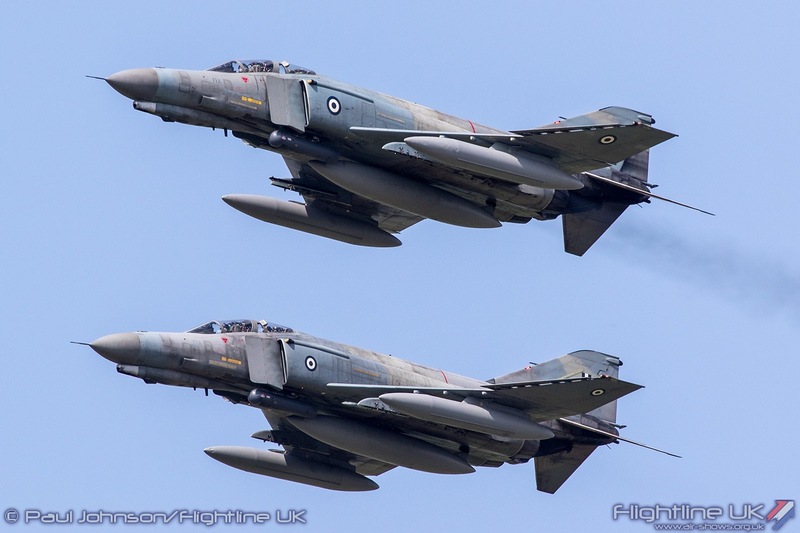 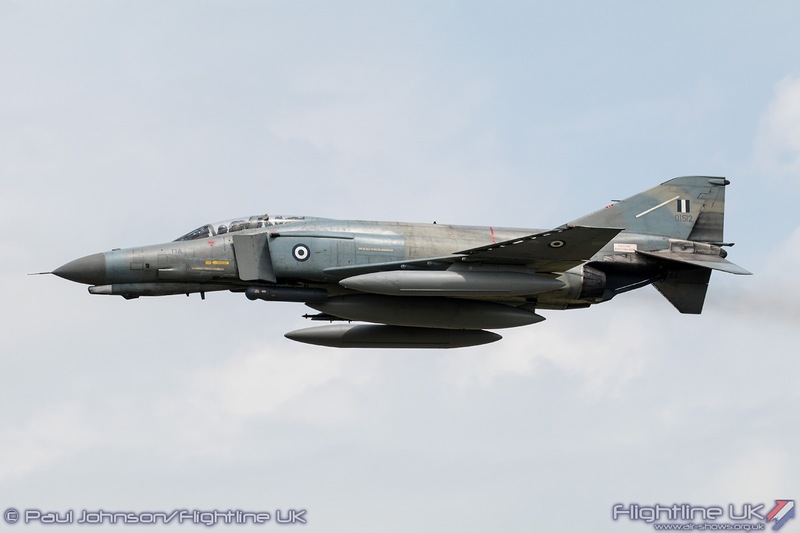 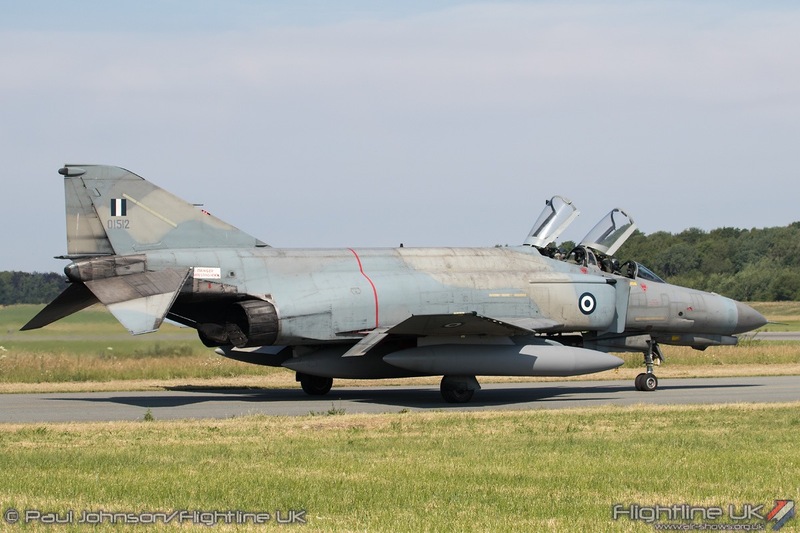 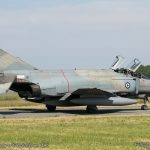 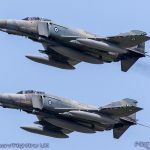 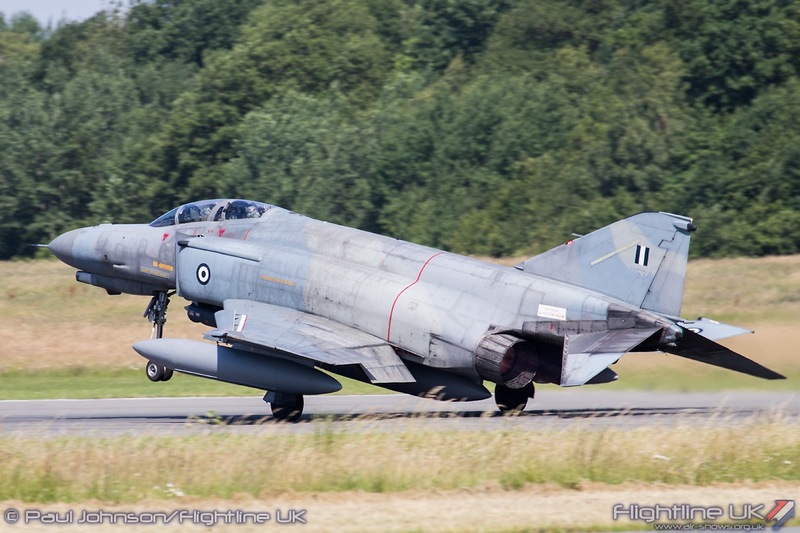 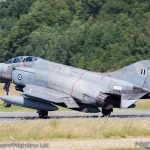 The Hellenic Air Force sent a pair of McDonnell Douglas F-4E (AUP) Phantom II fighter-bombers. 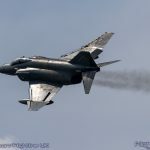 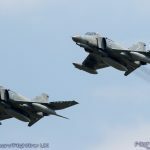 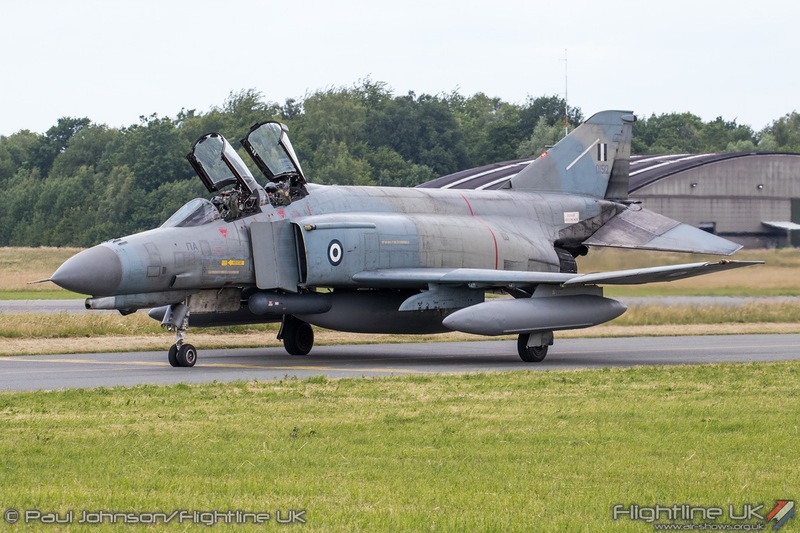 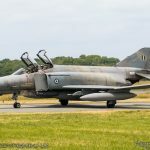 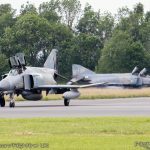 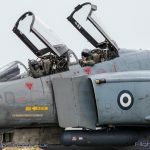 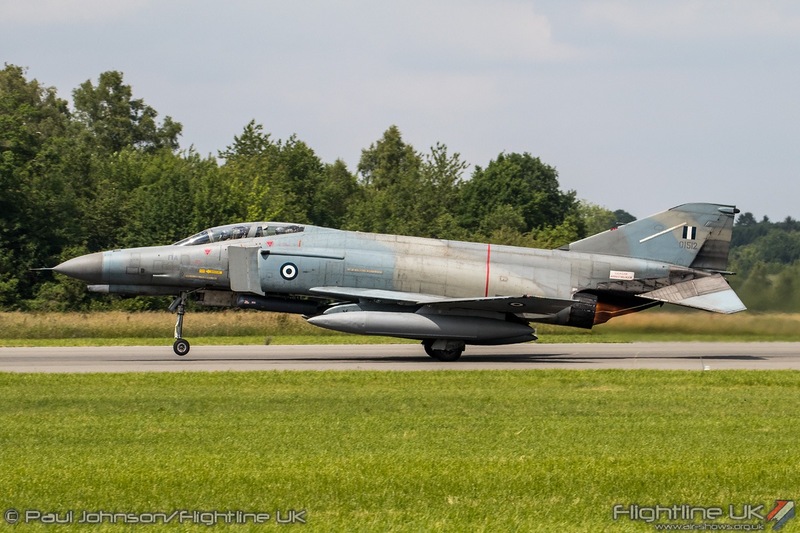 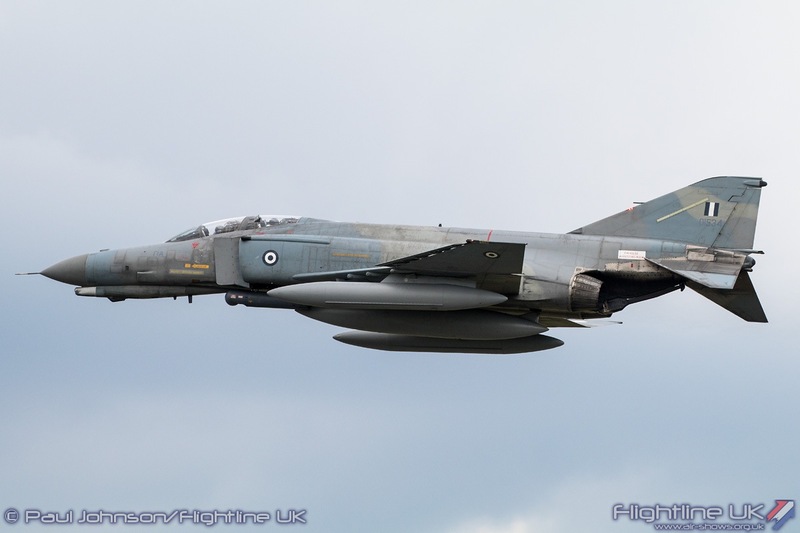 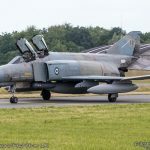 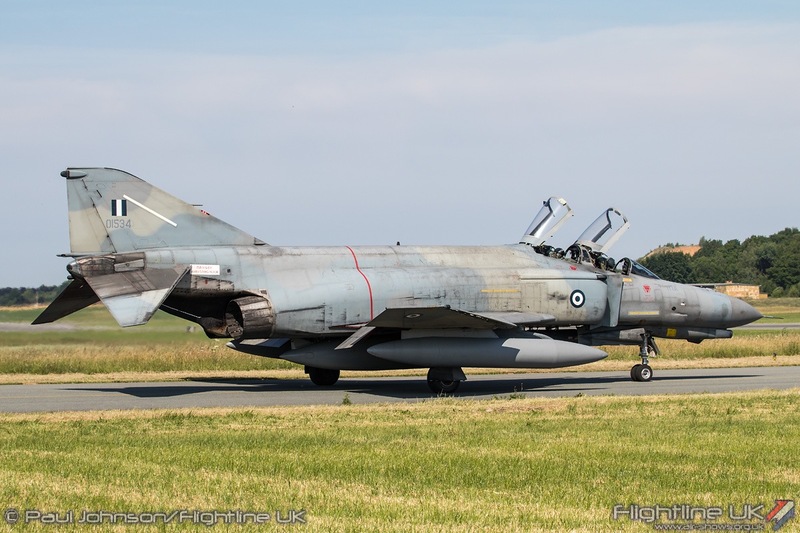 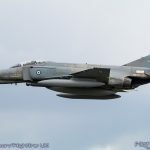 One of just two F-4 operators left in Europe (the other being Turkey) the might Phantom is in the twilight of its career. 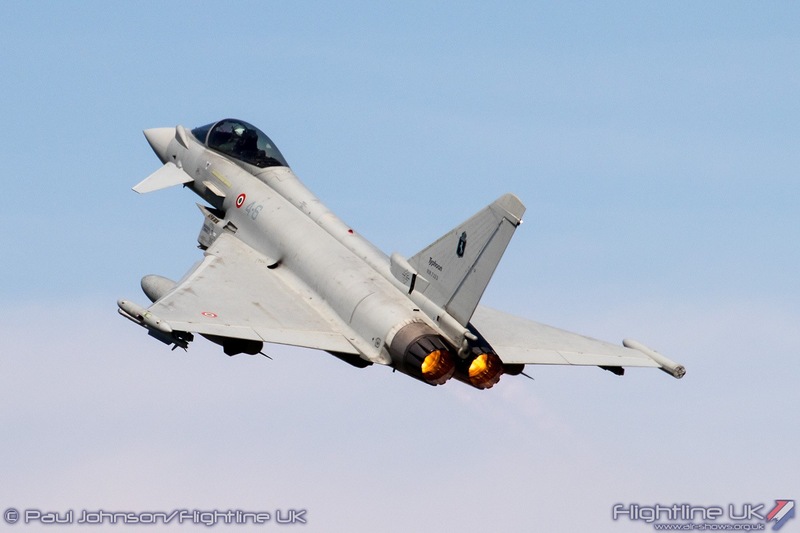 It is however still very capable and is always an impressive sight in the air. 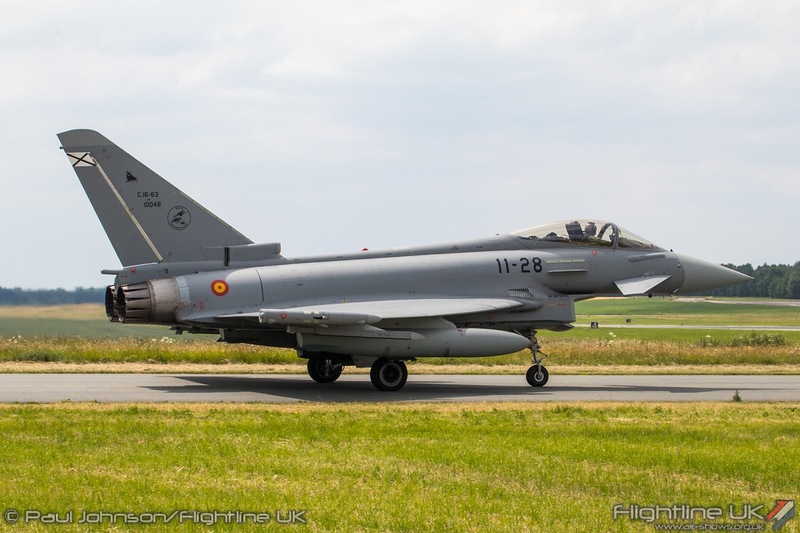 The final full day of flying during the exercise saw the “Spottersday” event staged. 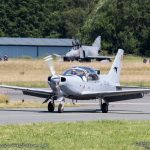 The day was based in a small ‘paddock’ area set up near the runway and adjoining taxiway from the TLP platform where the aircraft were based. 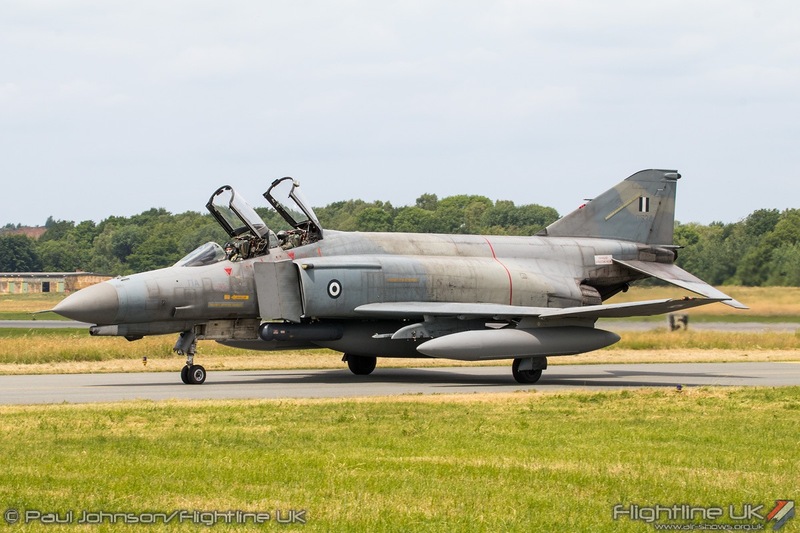 As the enclosure was effectively an island in the middle of the airfield everyone had to be transported on via bus from a car park just outside the airfield boundary ahead of flight operations starting at 9am. 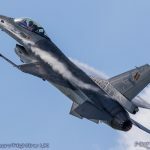 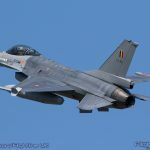 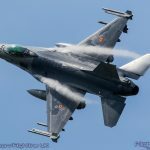 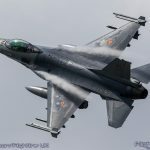 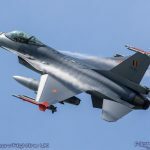 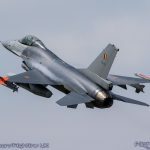 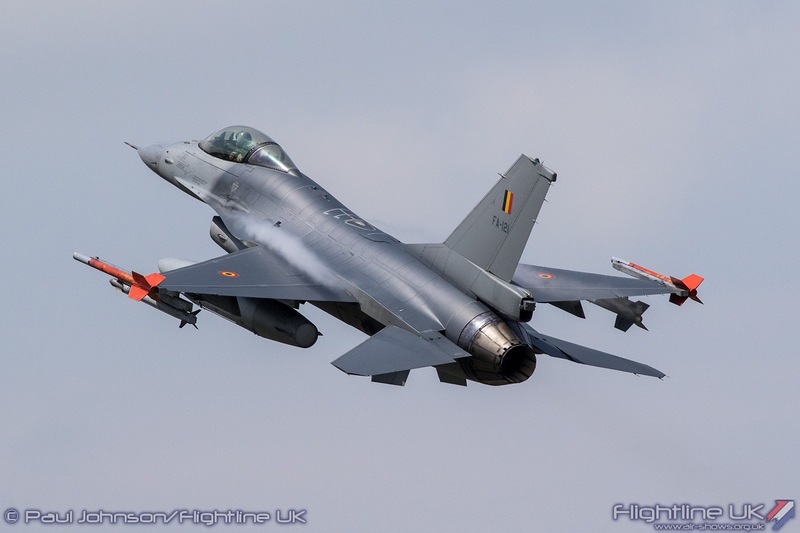 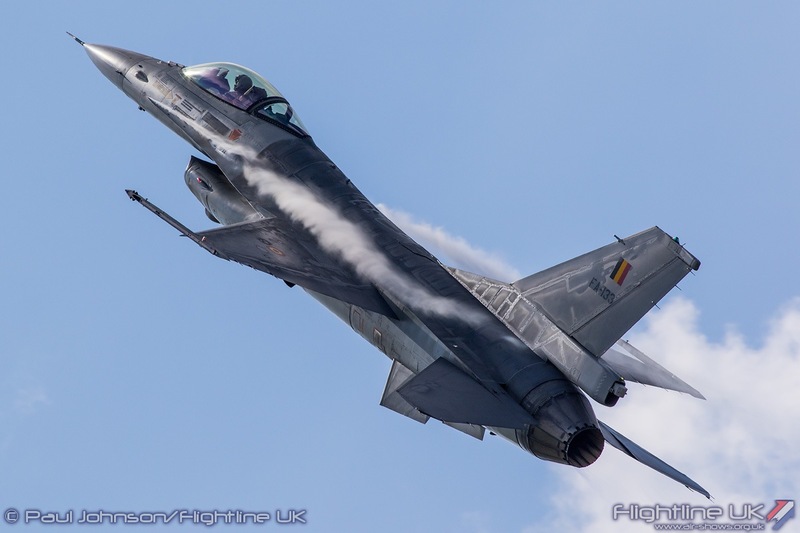 It was the same initial area as used for the Spottersday events around the Belgian Air Force Days last year and it suffered from the same old issue of too many stepladders too close to the ropes. 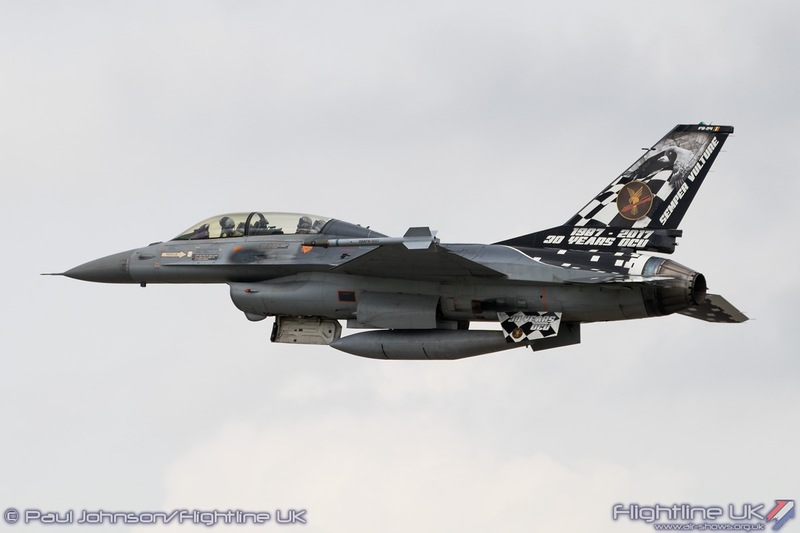 There was however plenty of facilities including a mobile “Friterie” plus some Squadron stalls selling memorabilia. 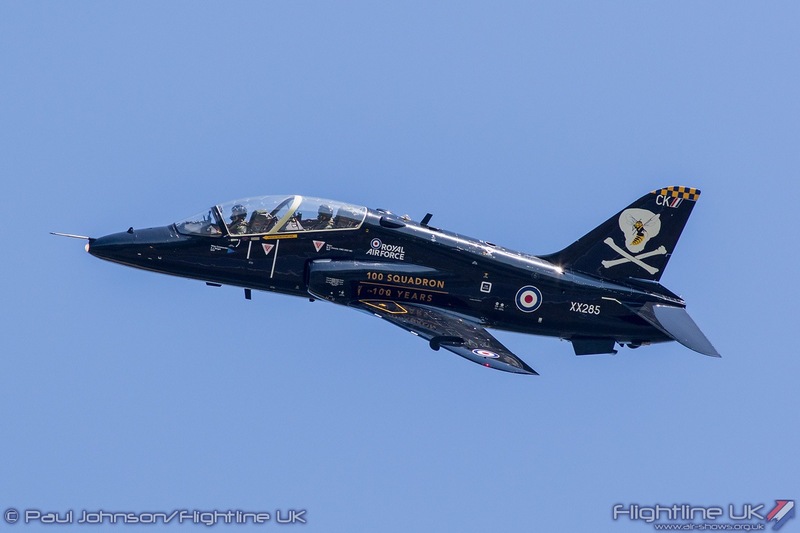 A particularly nice touch on the part of 1 sqn was the inclusion of a very glossy hardback book in the price of admission. 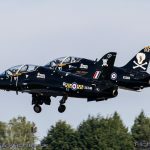 The book covered the 100 years of 1 Sqn with 100 different stories alongside some stunning photographs – a rather special memento of the day. 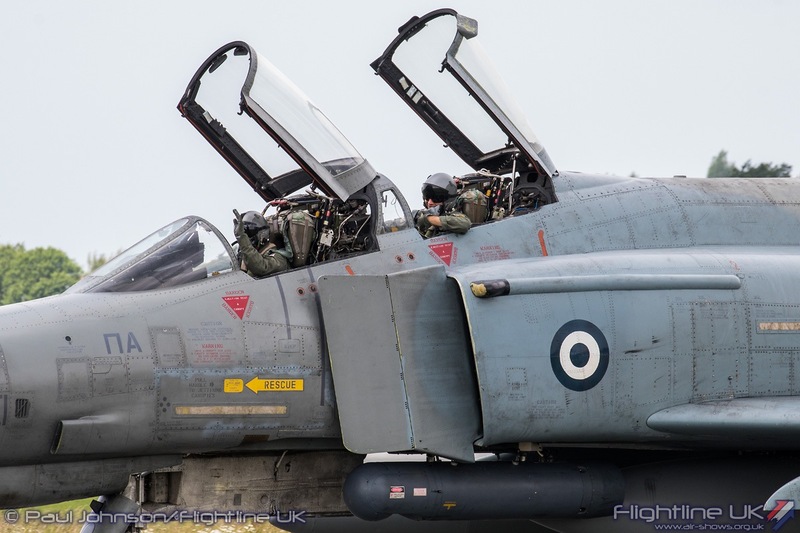 The enclosure was well place to capture the action from the sortie launches and particularly the recoveries. 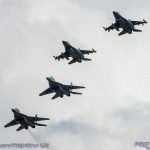 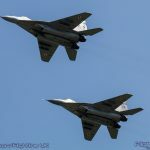 There were two waves in the morning and afternoon which saw different packages of aircraft launch. 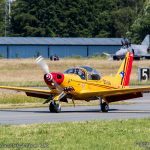 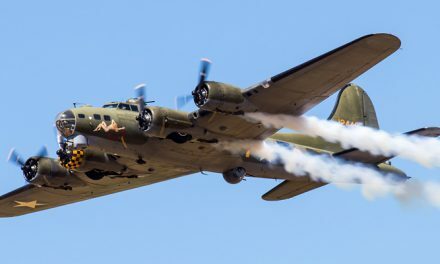 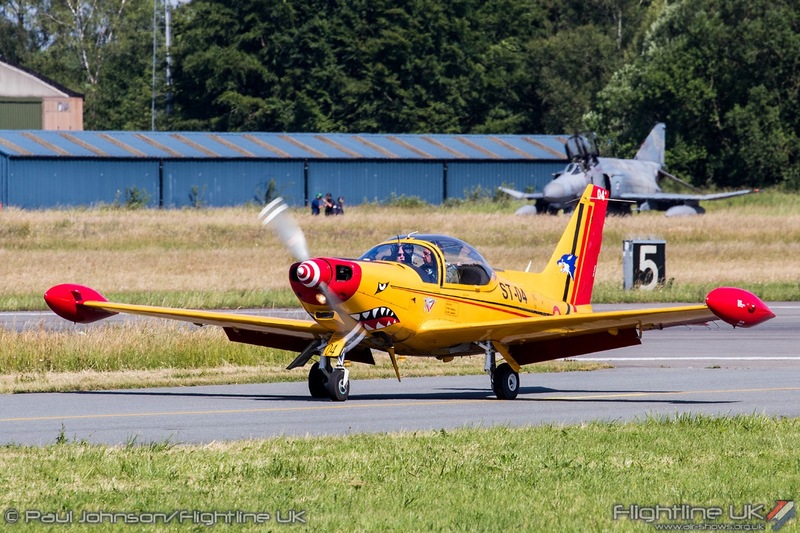 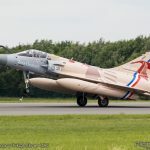 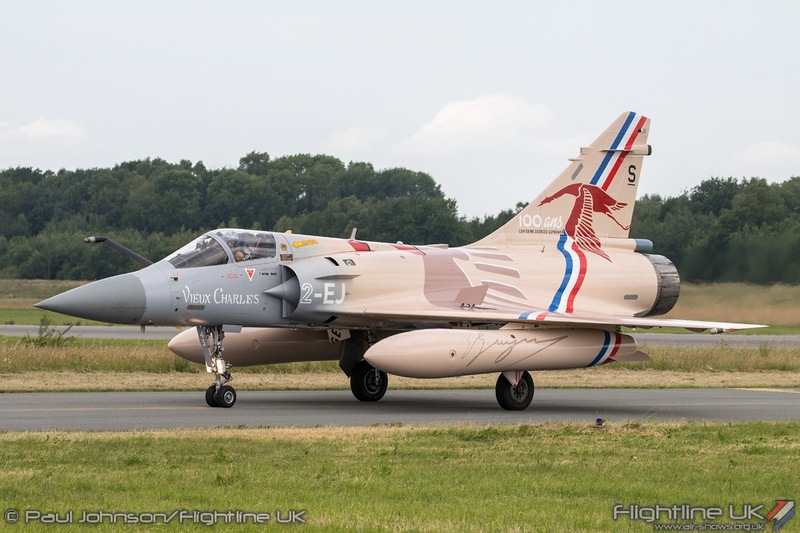 On return to Florennes, all the aircraft performed at least one spirited go-arounds and breaks turning around the spotters area showing off the topsides of their aircraft. 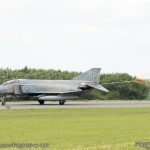 Before and in-between the missions, there were some other movements associated with the exercise and also 1sqn centenary celebrations. 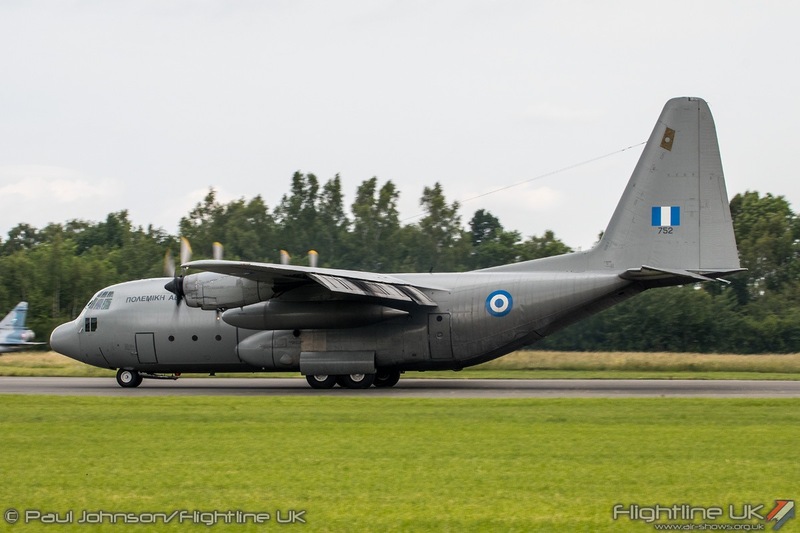 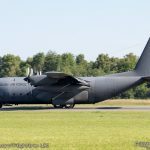 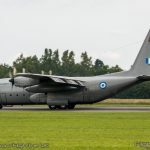 As the meet was drawing to a close, both a Polish Air Force Lockheed C-130E Hercules and Hellenic Air Force C-130H Hercules arrived during the day to pick up ground crews and equipment which both rarely seen in public. 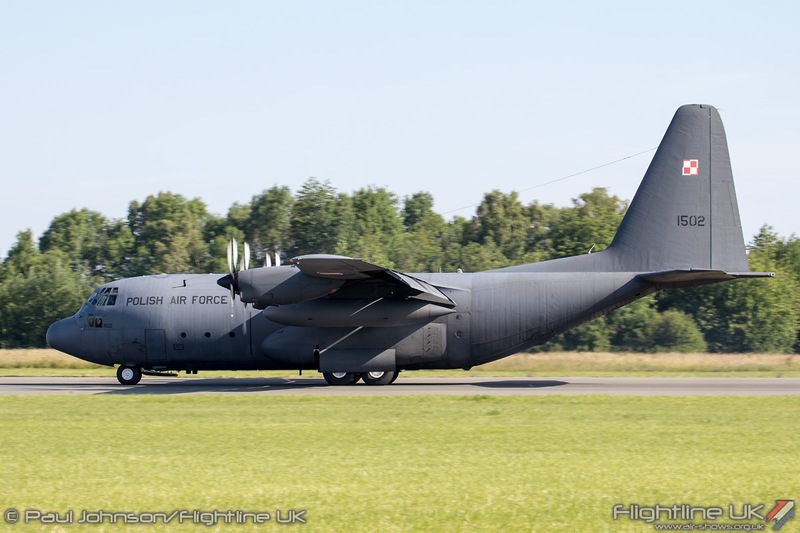 The main bulk of visitors arrived during the gap between TWM missions. 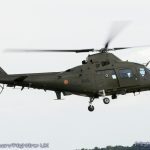 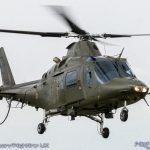 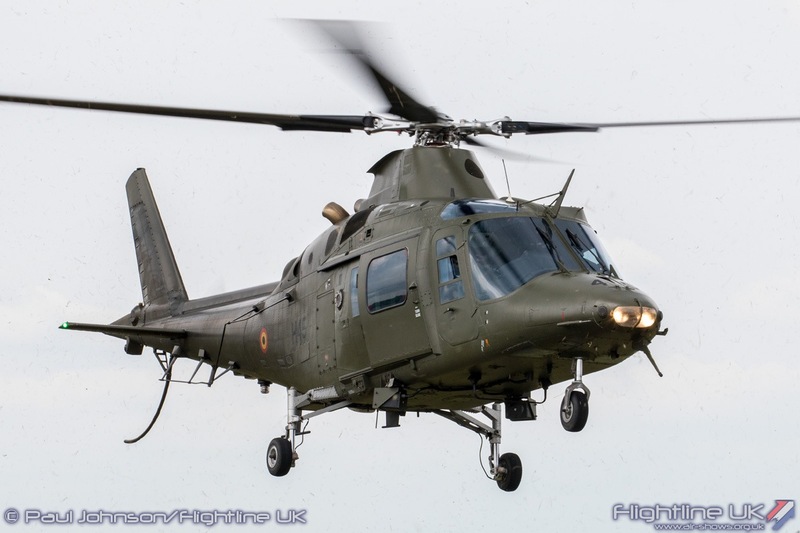 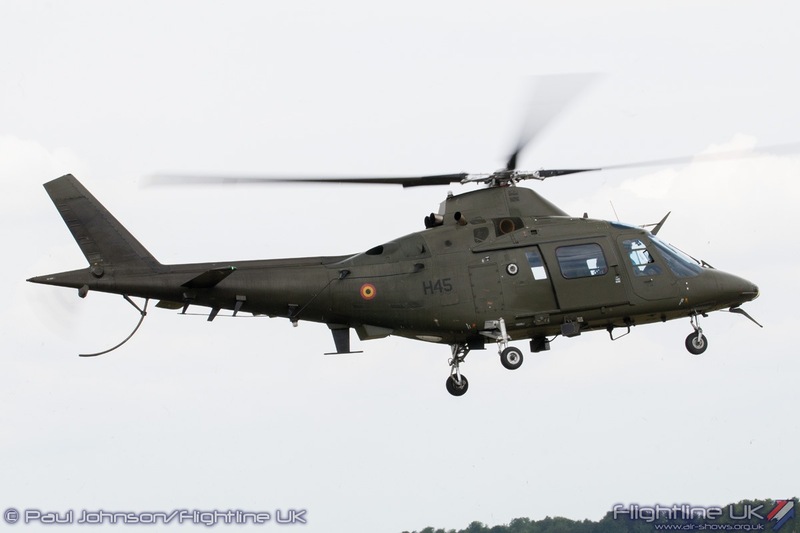 The Belgian Air Force put in an impressive showing with examples of the Agusta A109BA and the SIAI-Marchetti SF260 both from Beauvechain. 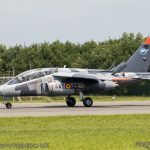 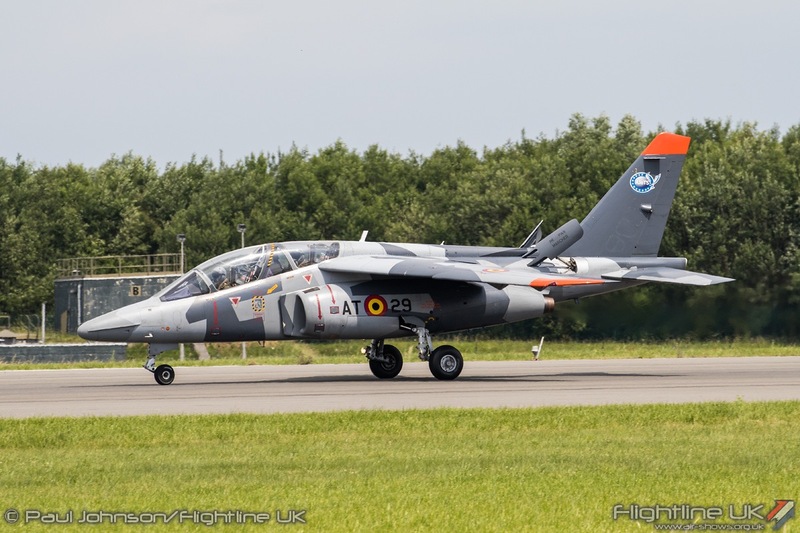 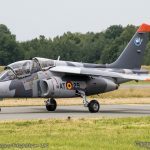 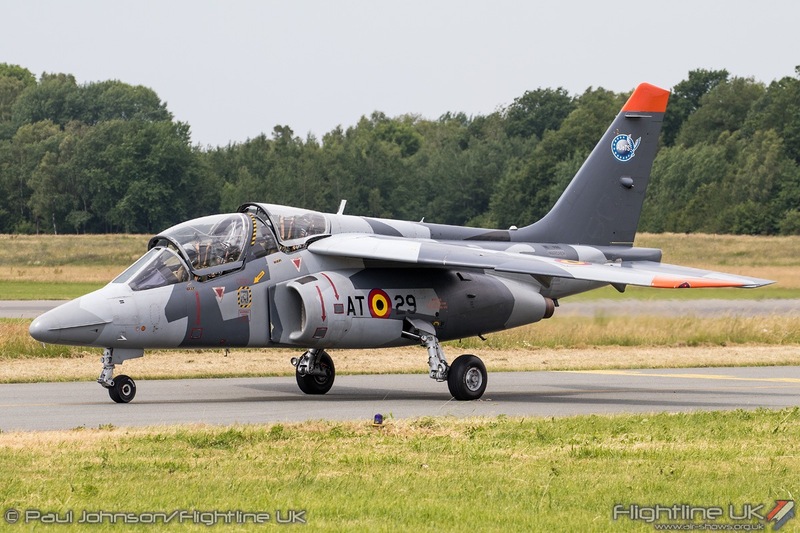 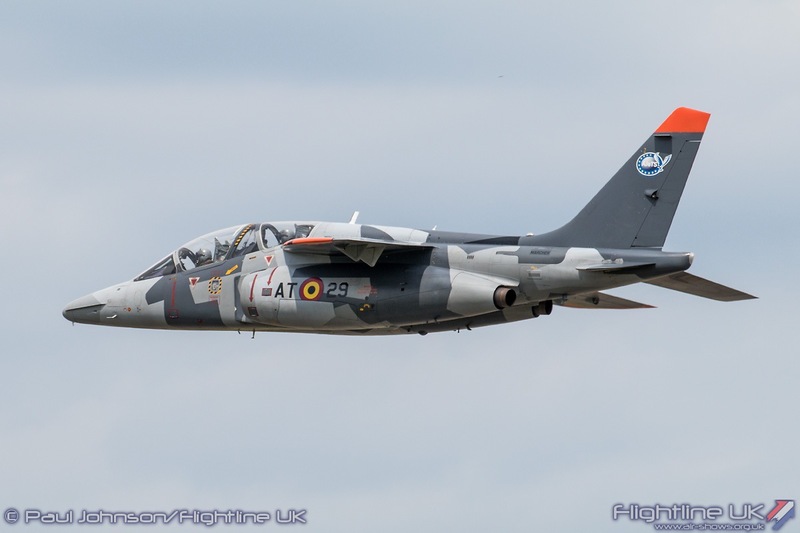 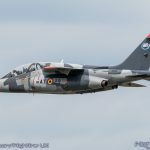 A specially marked Dassault Alpha Jet E from the Belgian Air Force detachment at Cazaux, France also put in some low wing-waggling flypast on arrival. 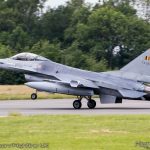 1 Sqn are not the only Belgian Air Force unit celebrating important milestones in 2017. 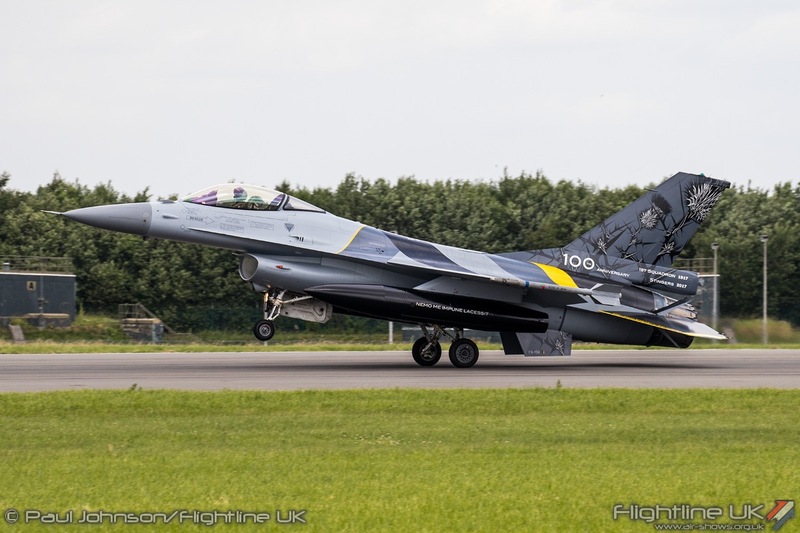 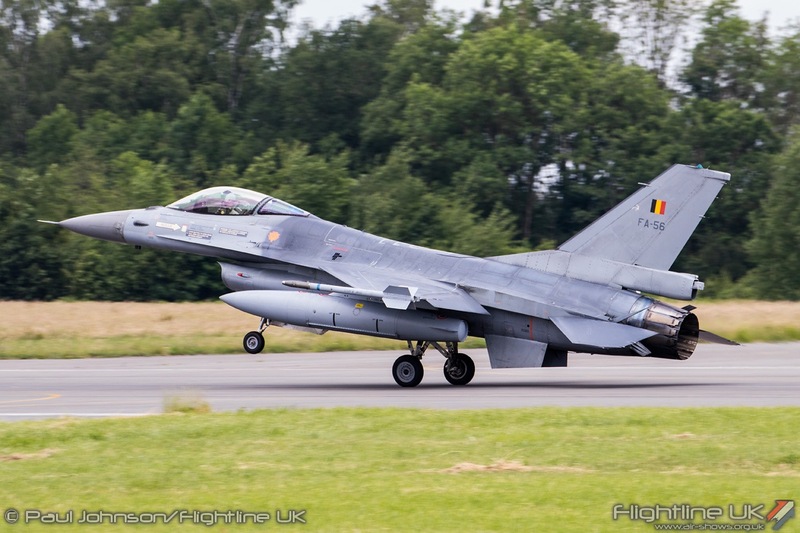 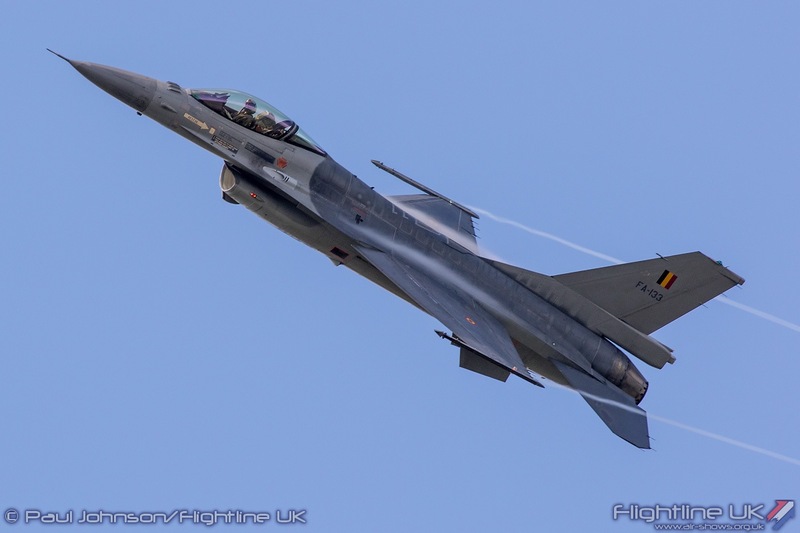 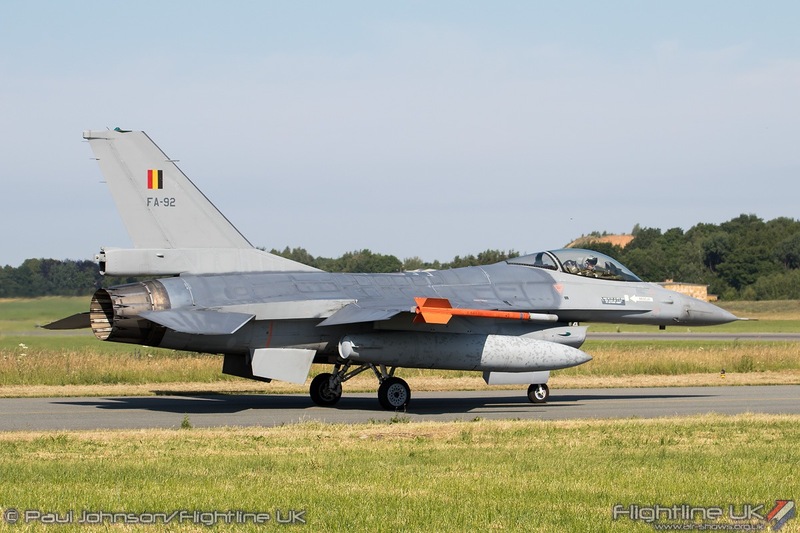 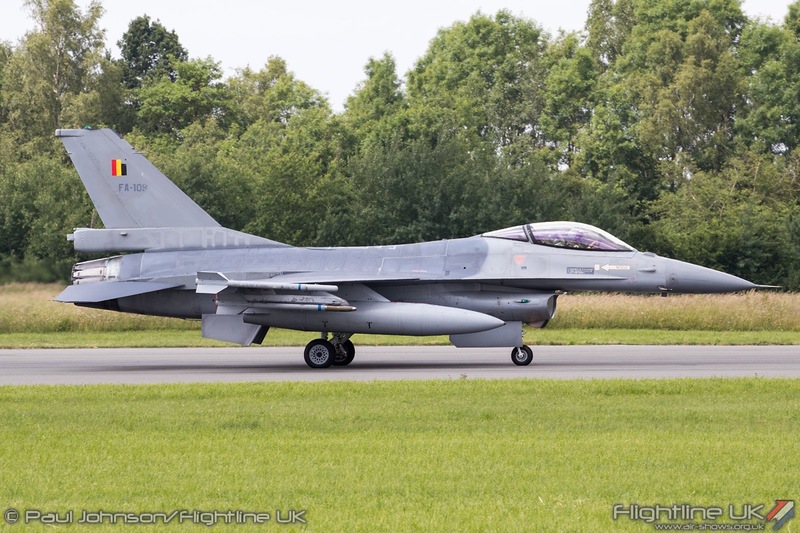 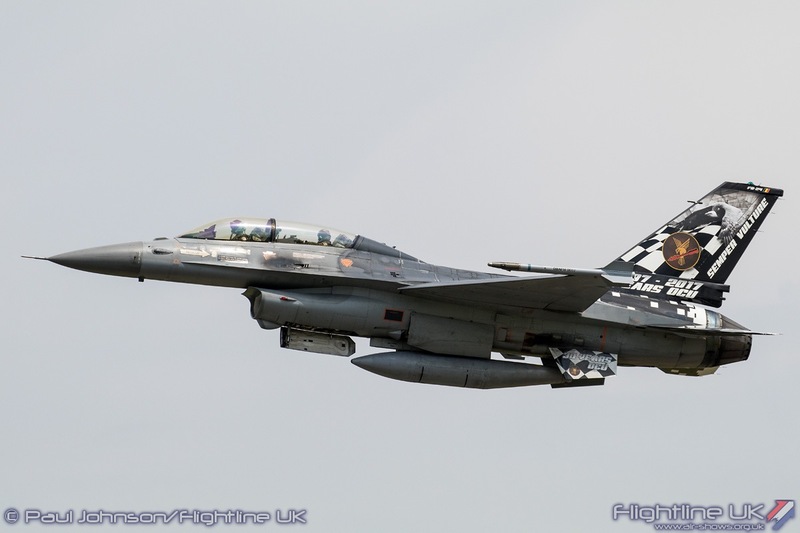 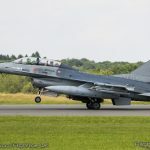 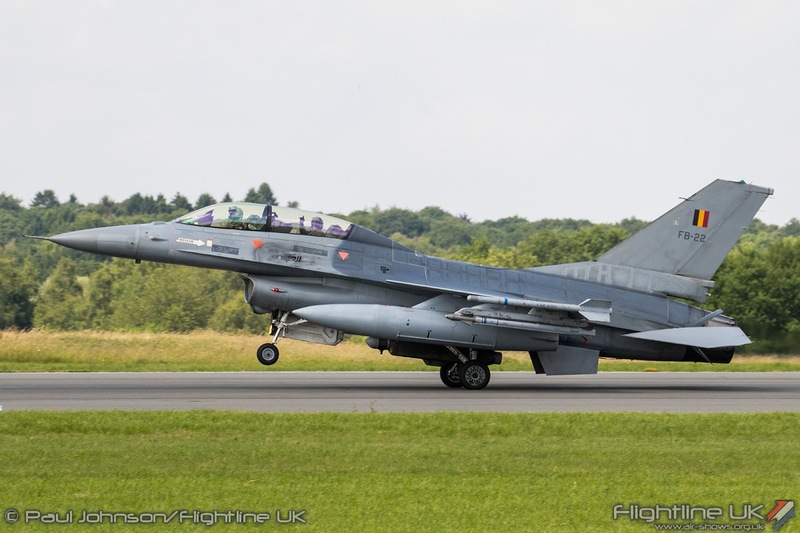 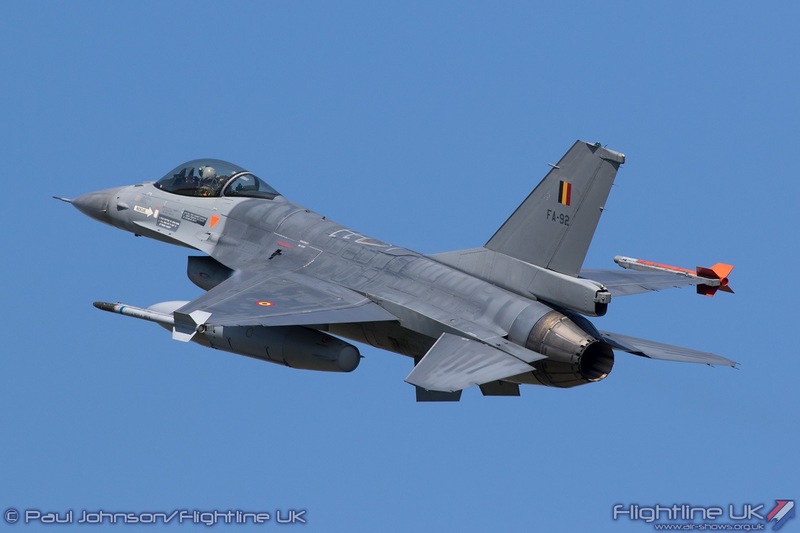 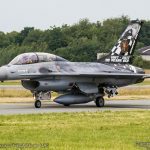 349(F) Squadron based at Kliene Brogel celebrates its 75th Anniversary this year and also had a specially marked F-16AM Fighting Falcon for the occasion featuring a black tail. 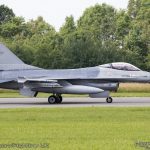 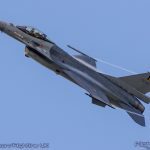 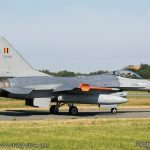 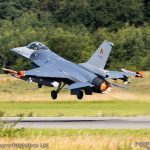 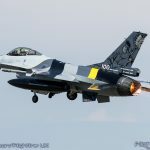 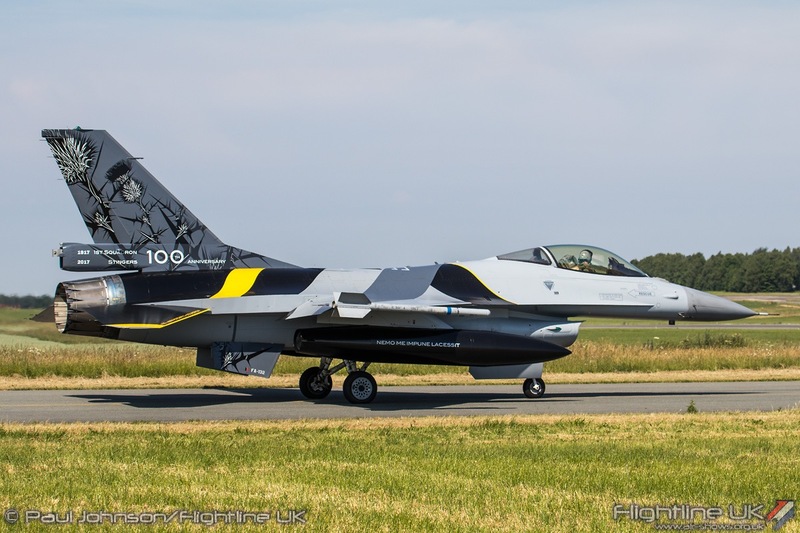 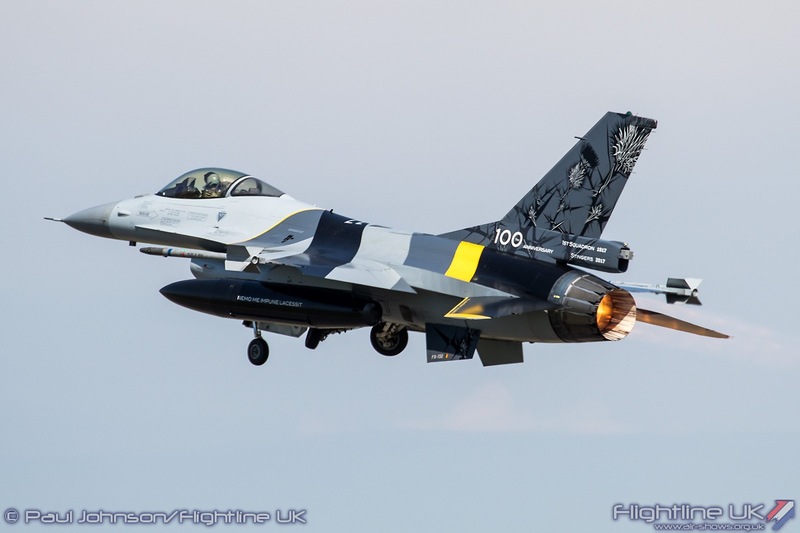 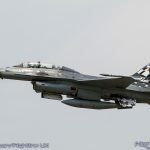 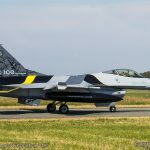 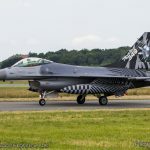 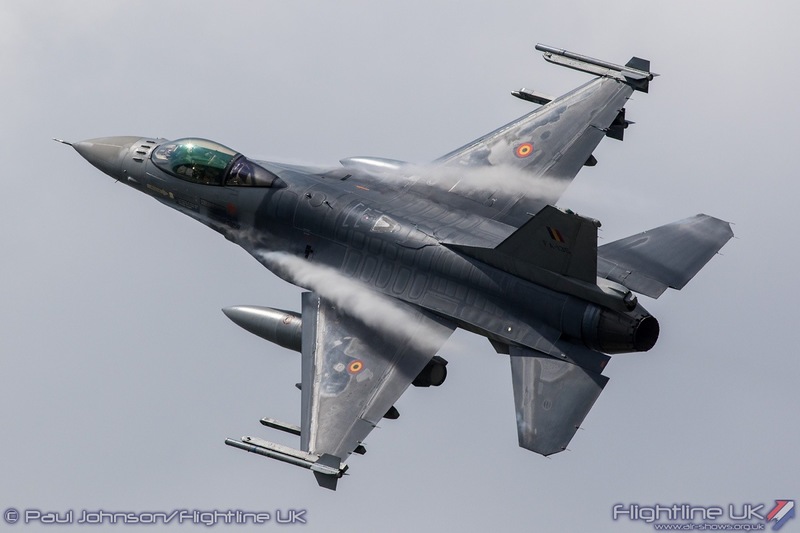 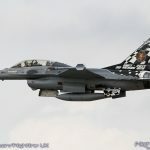 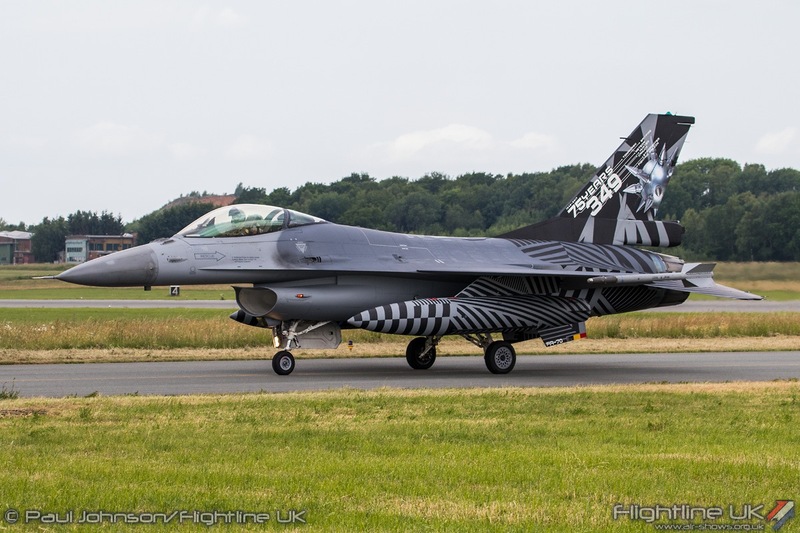 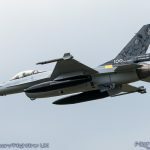 Finally the F-16 OCU, also at Kleine Brogel celebrates its 30th Anniversary this year and one of its F-16BM Fighting Falcons has been adorned with a chequered tail fin design. 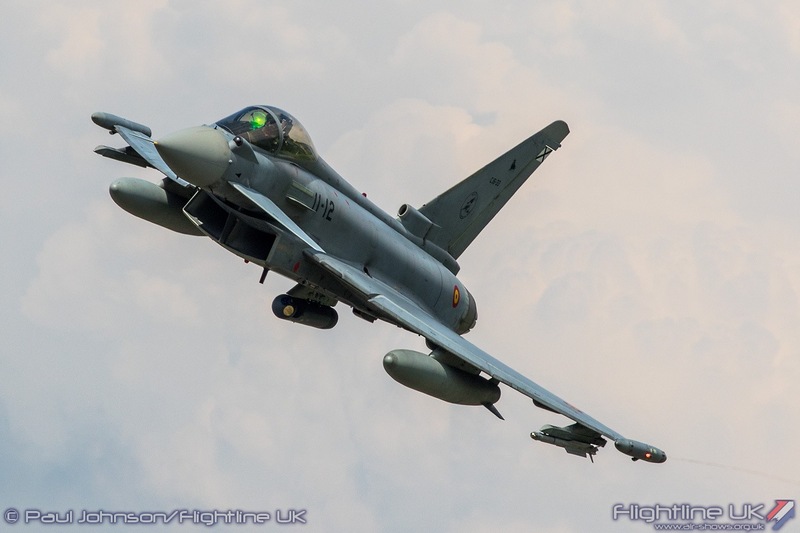 Two Luftwaffe Eurofighter EF2000s did fly through the Florennes overhead all too breifly but stayed slightly too high to really be noticed. 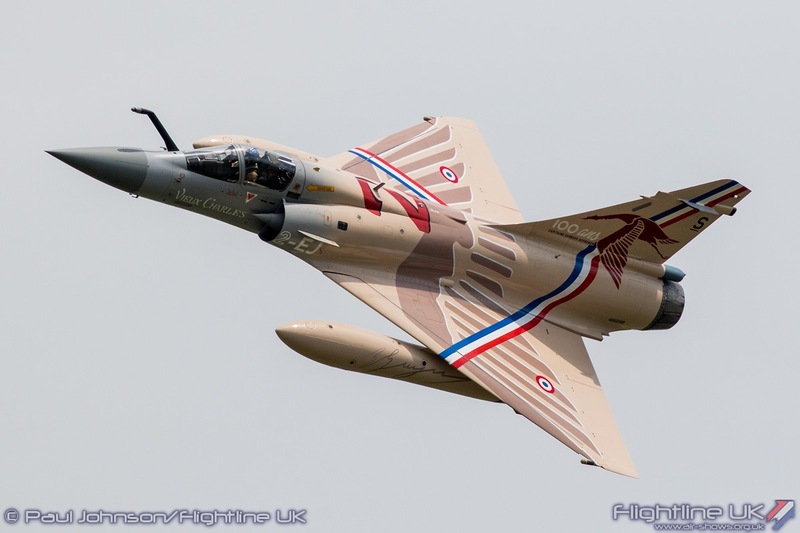 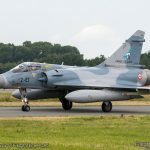 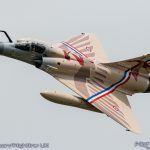 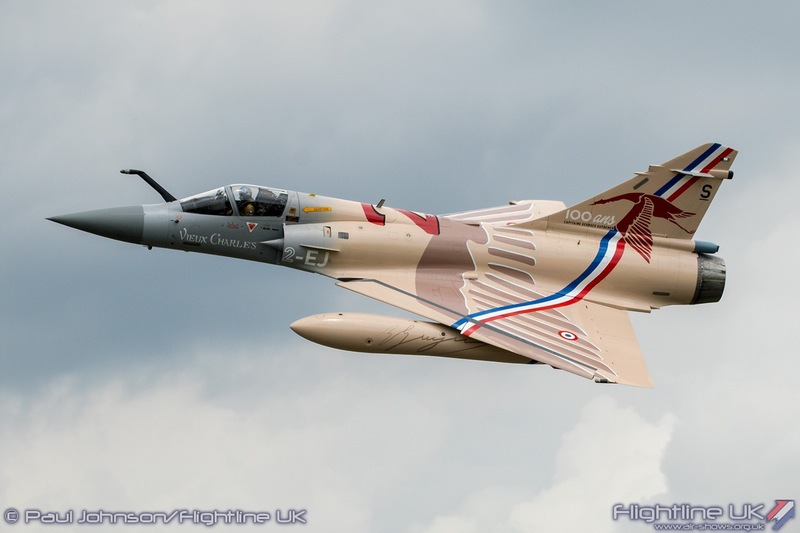 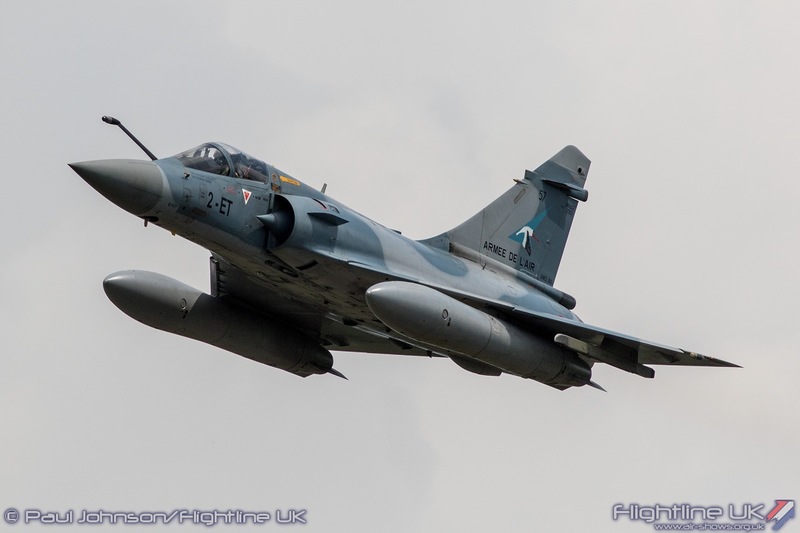 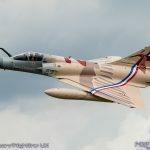 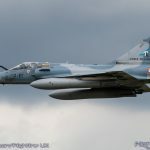 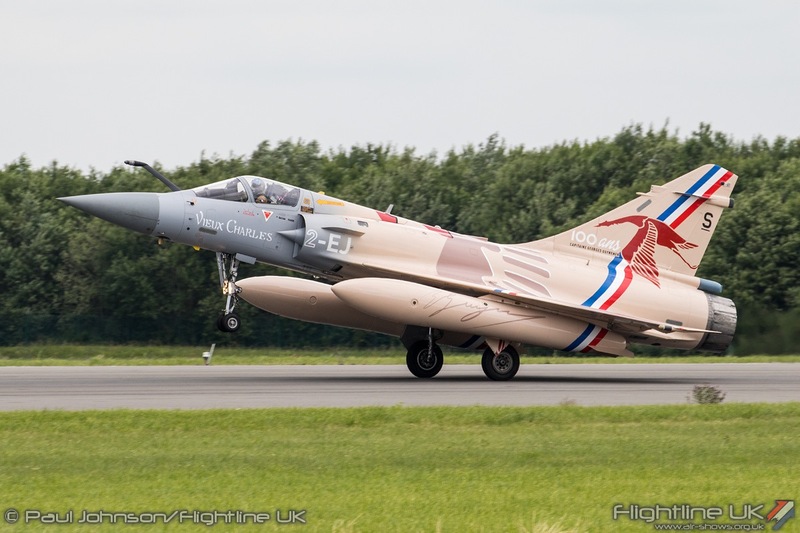 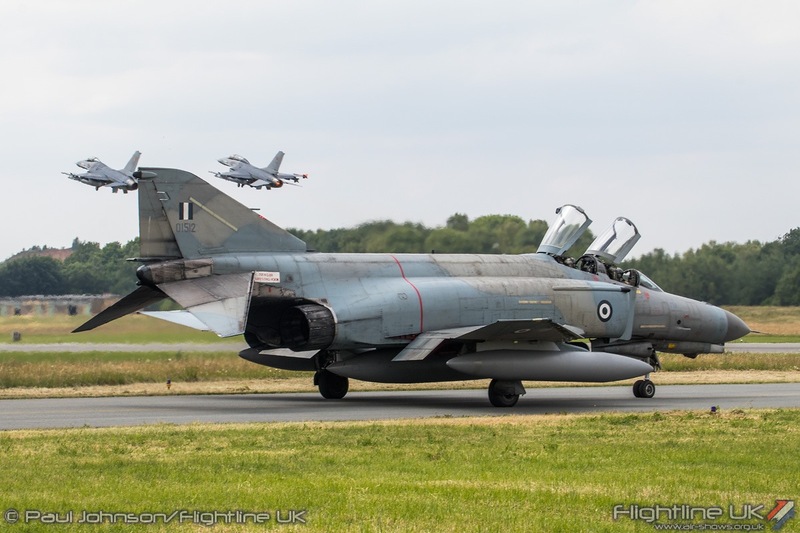 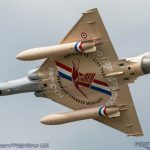 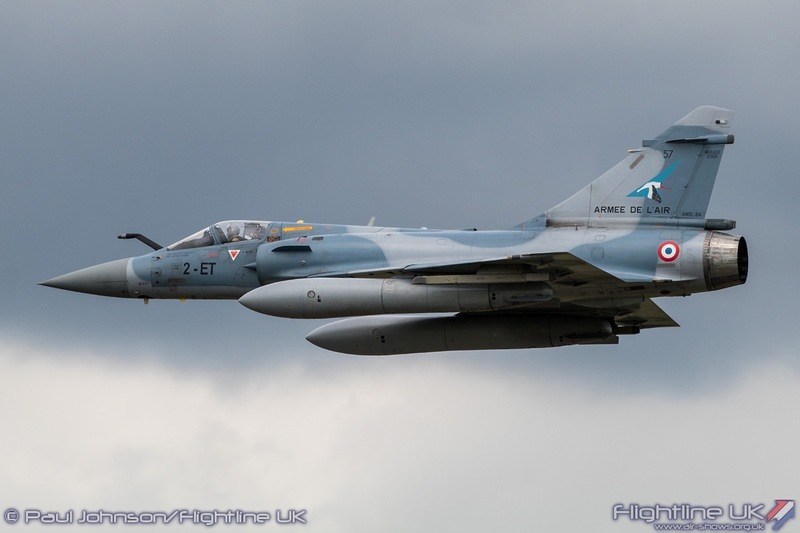 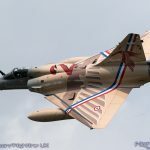 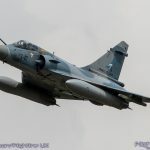 But for many, the star visiting aircraft were the two Dassault Mirage 2000-5Fs from 1/2 “Storks” Cigognes of the French Air Force. 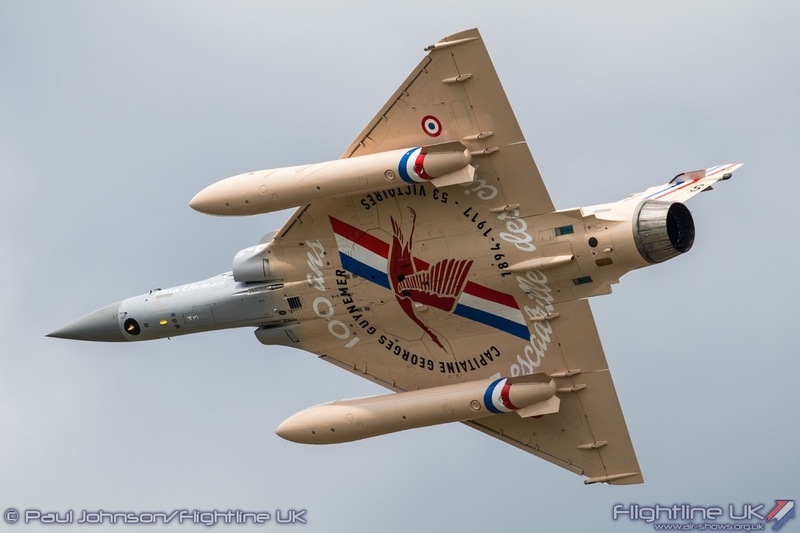 The lead aircraft wore newly applied special markings commemorating the disappearance of French ace George Guynemer. 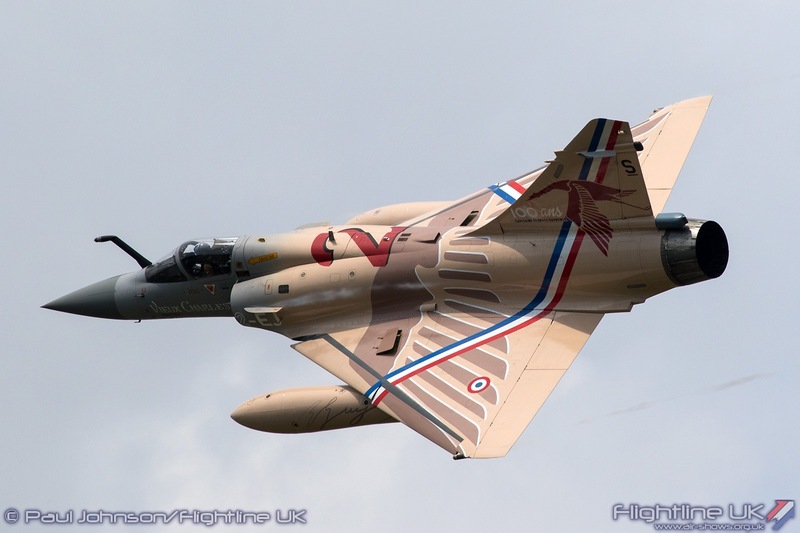 Guynemer had downed 53 aircraft while serving with the unit’s predecessors, SPA 3, flying SPAD fighters. 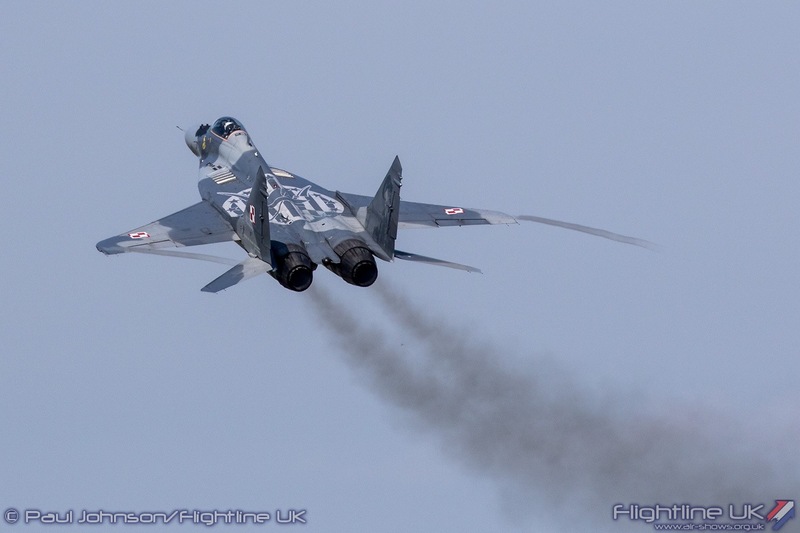 On the 11th September 1917, Guynemer failed to return from a patrol near Langemark. 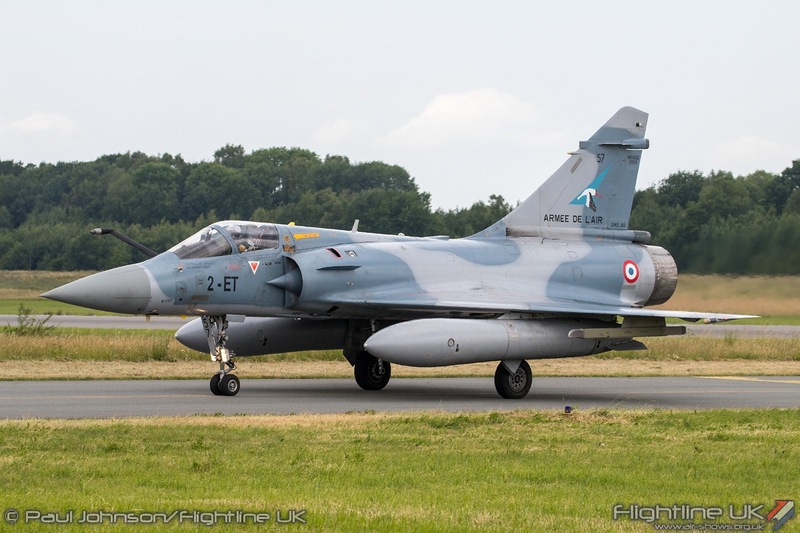 The unit today is based at Luxeuil Air Base in eastern France. 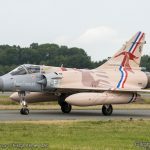 The special scheme wraps around the whole aircraft and the pilot made sure all surfaces were well shown off for the photographers. 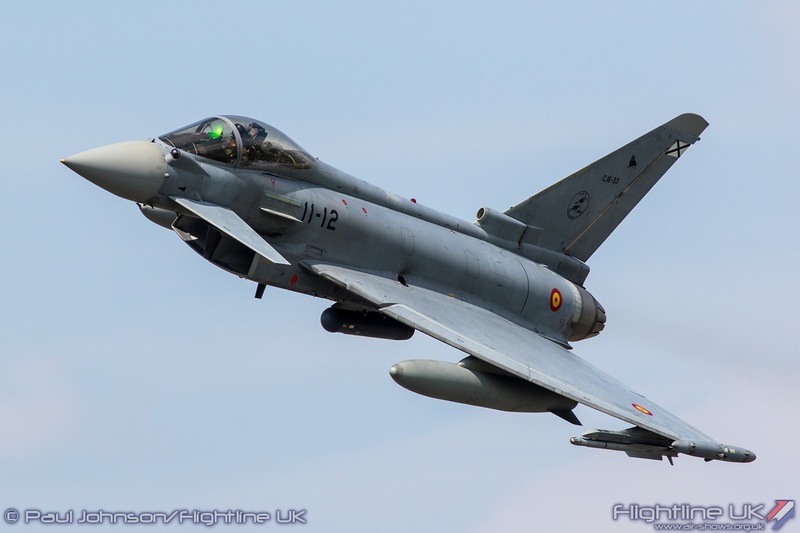 Overall, it was a superb event for aviation enthusiasts and very friendly and well managed. 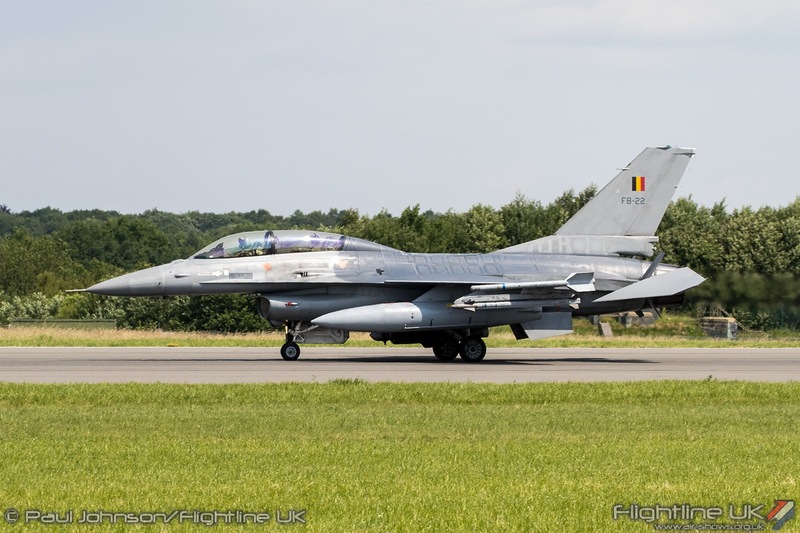 It was a particularly hot day in the Namur region and the very welcoming Belgian Air Force personnel were handing out large bottles of water to attendees on arrival. 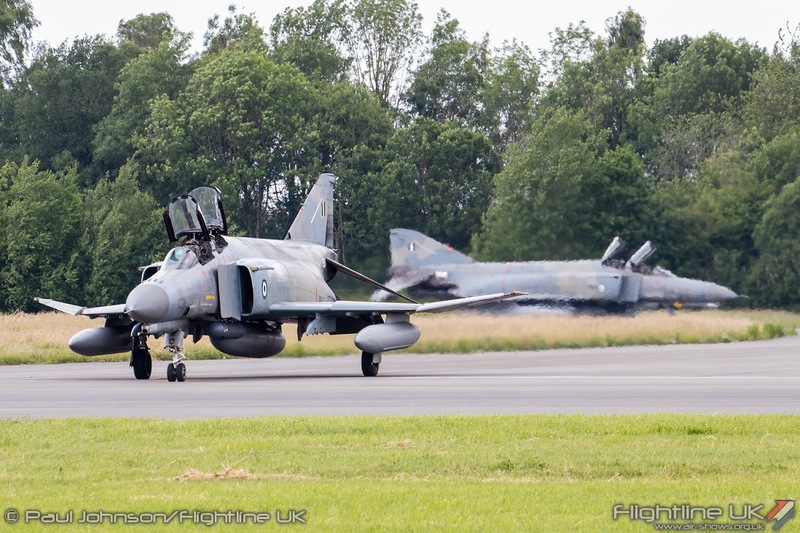 Entrance seemed a lot smoother than for other similar events too. 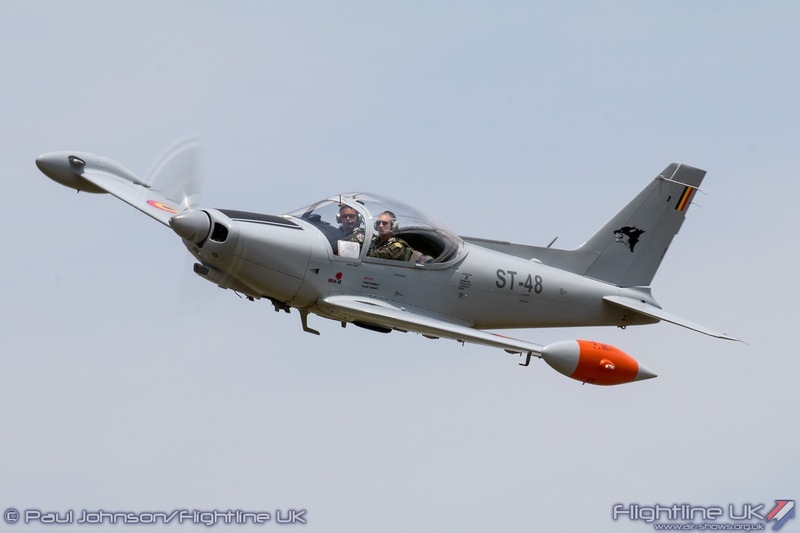 Thanks must go to the personnel of 1 “Stingers” Squadron and of Florennes for putting on such an enjoyable afternoon in sunny Belgium!